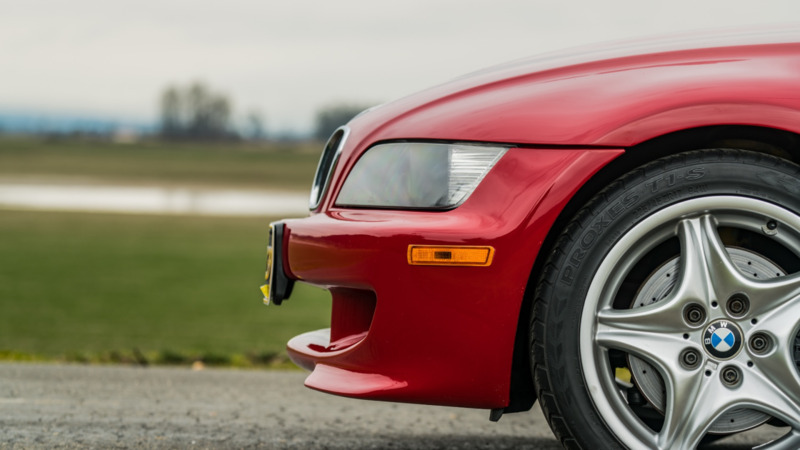 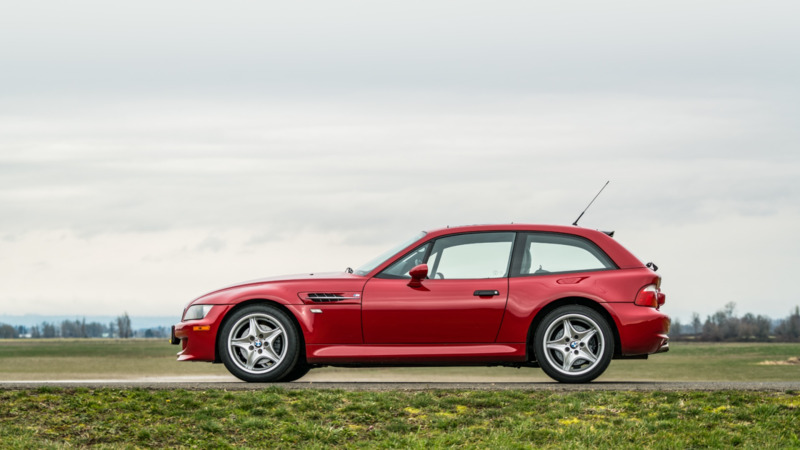 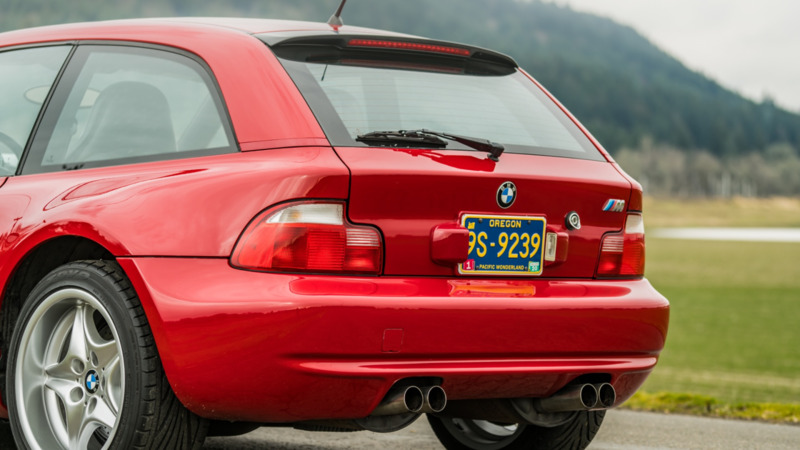 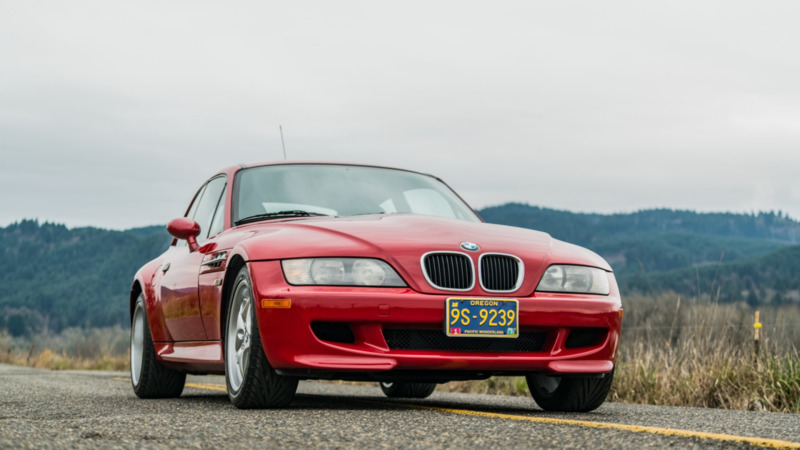 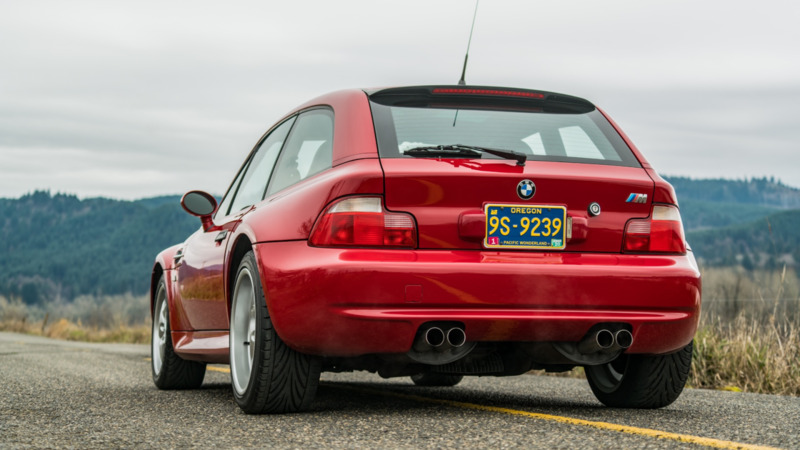 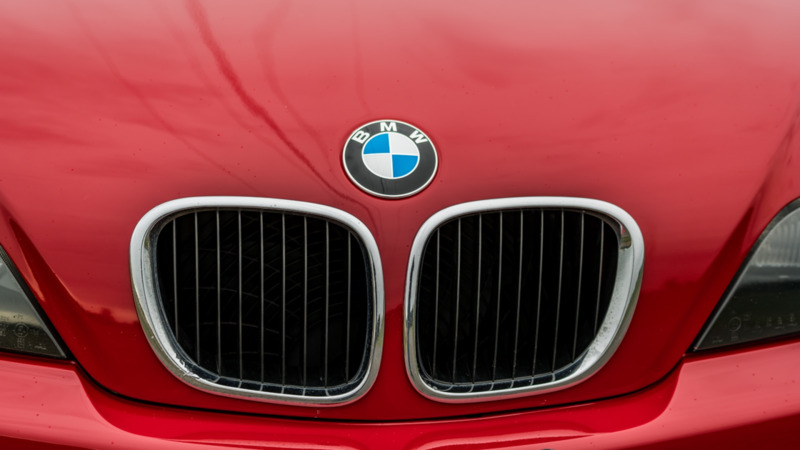 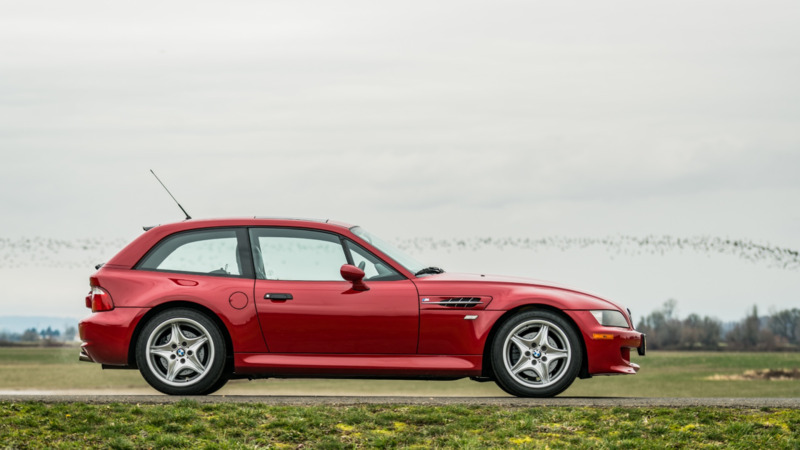 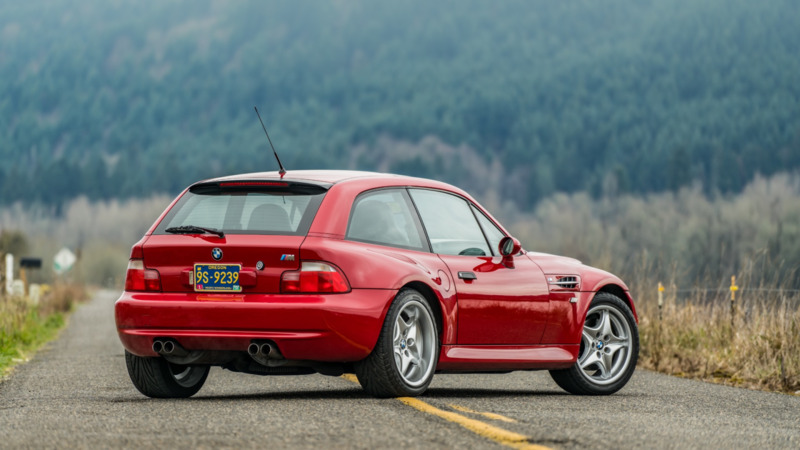 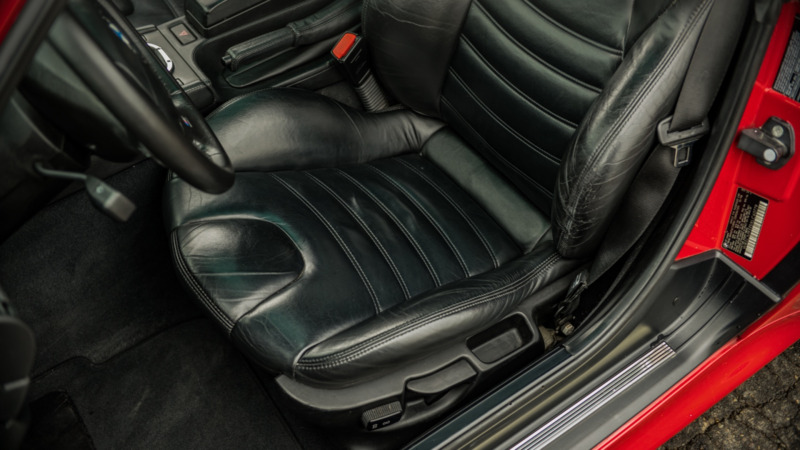 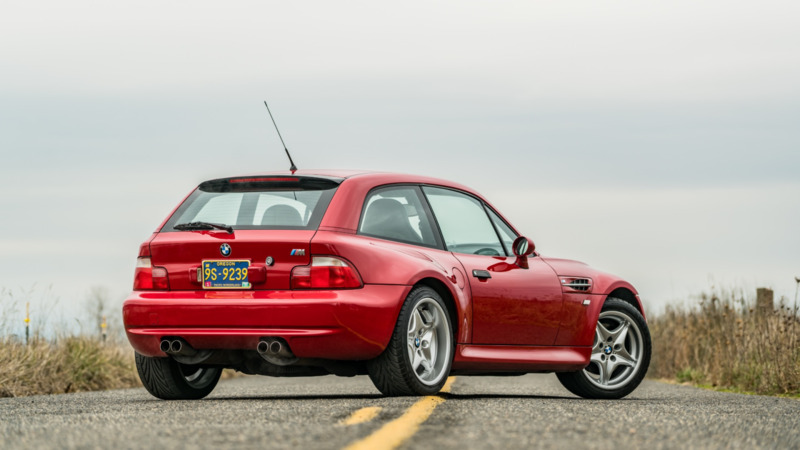 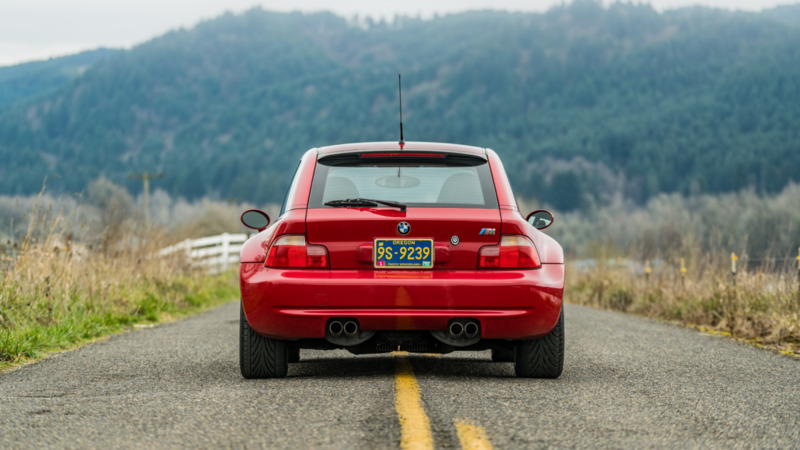 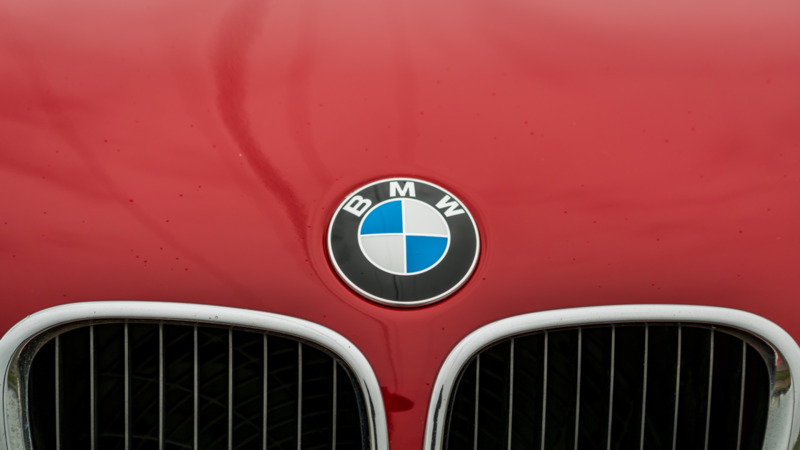 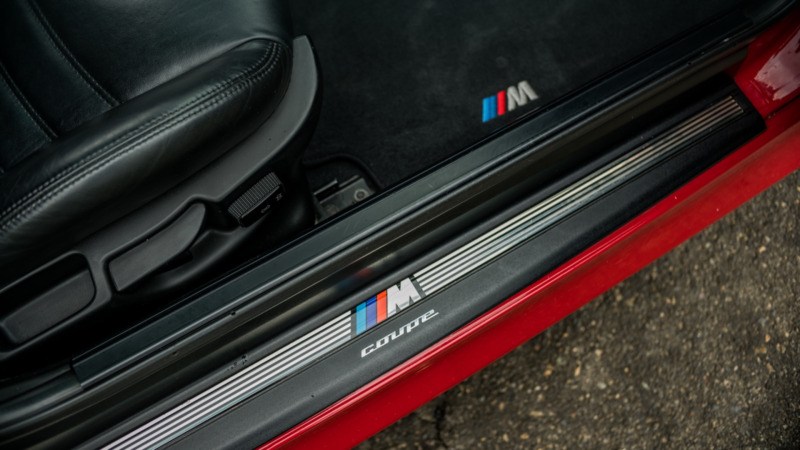 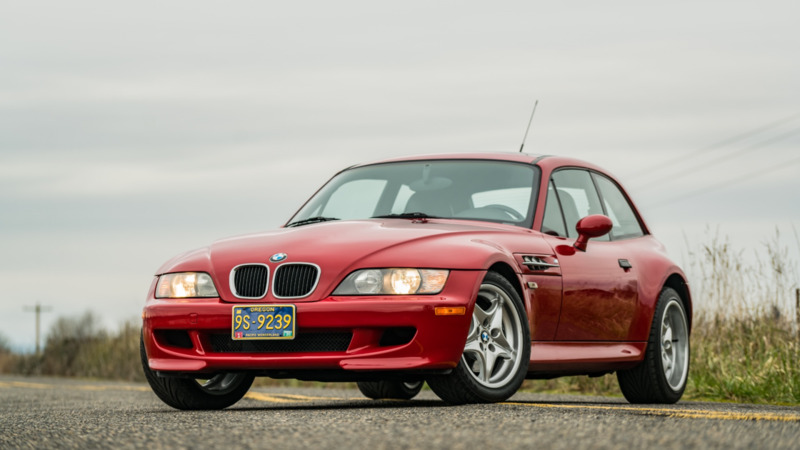 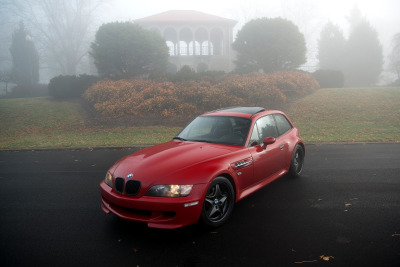 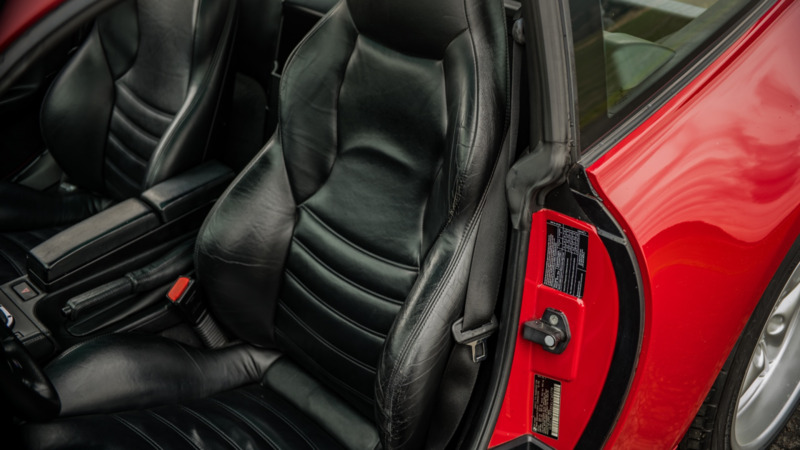 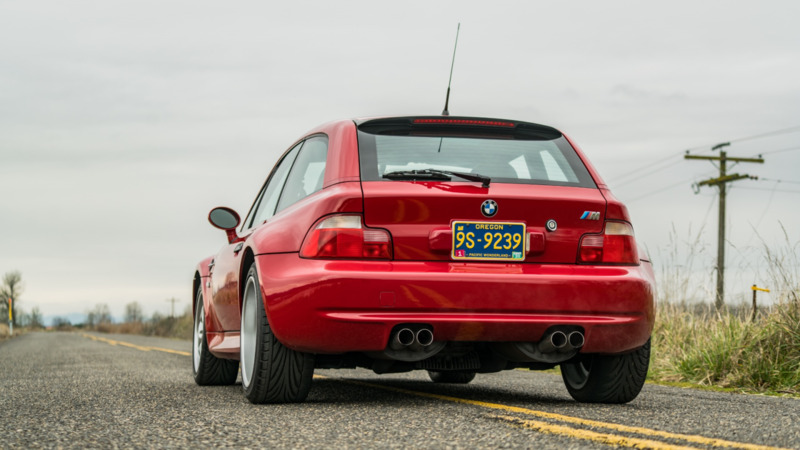 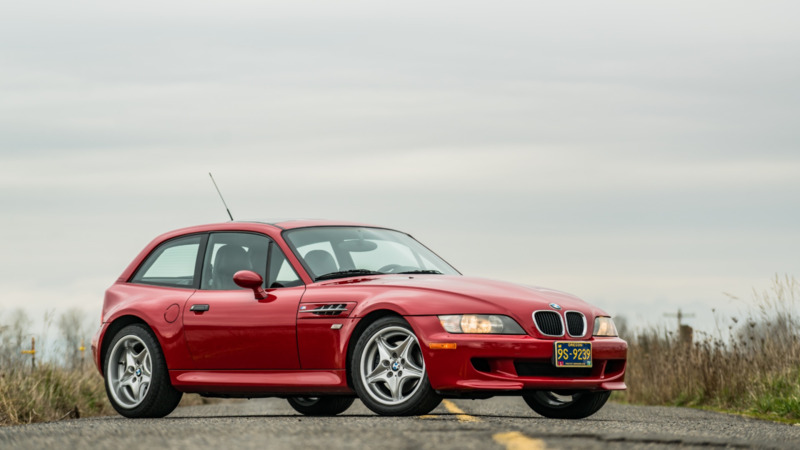 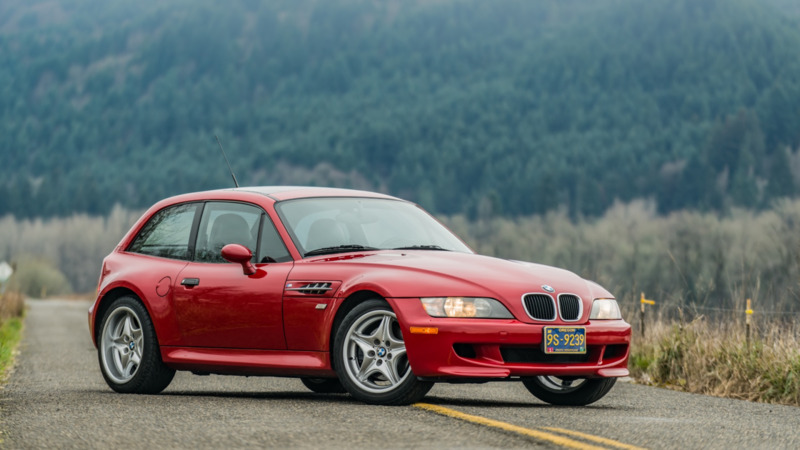 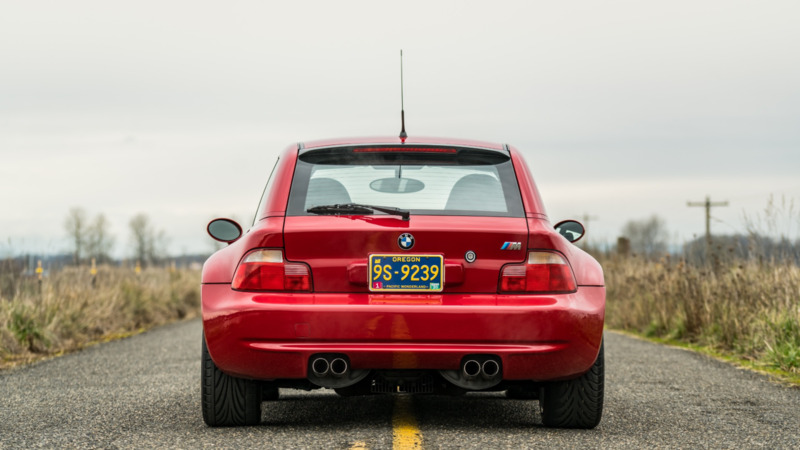 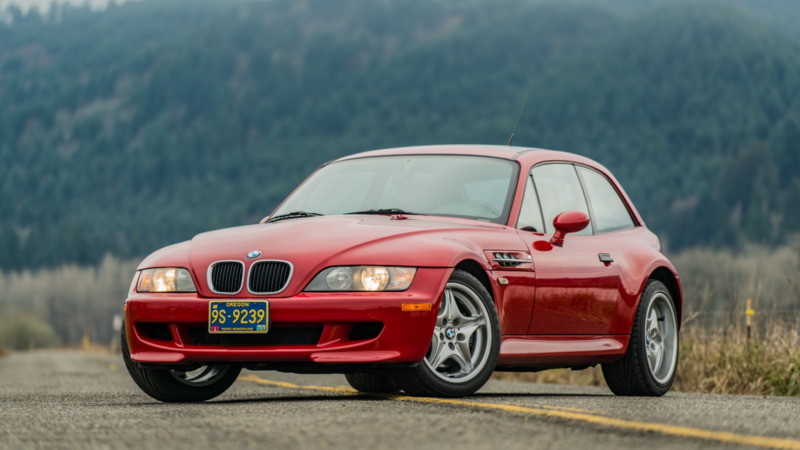 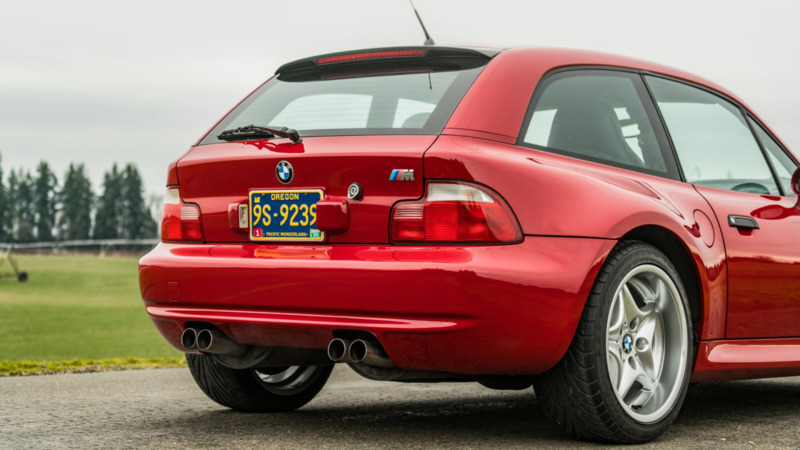 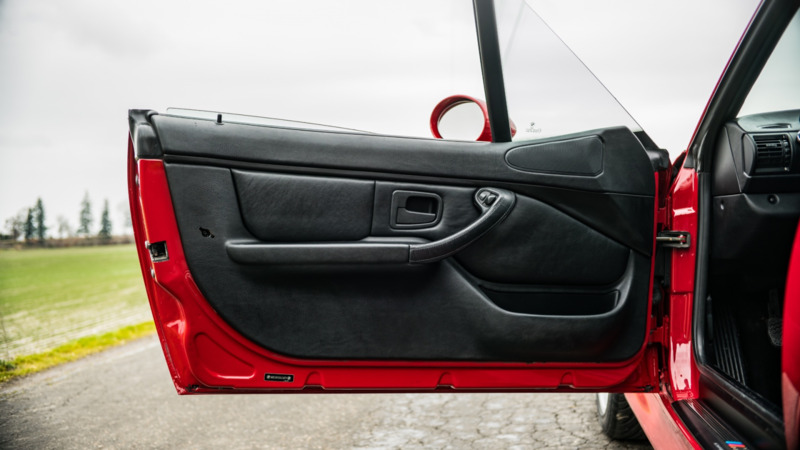 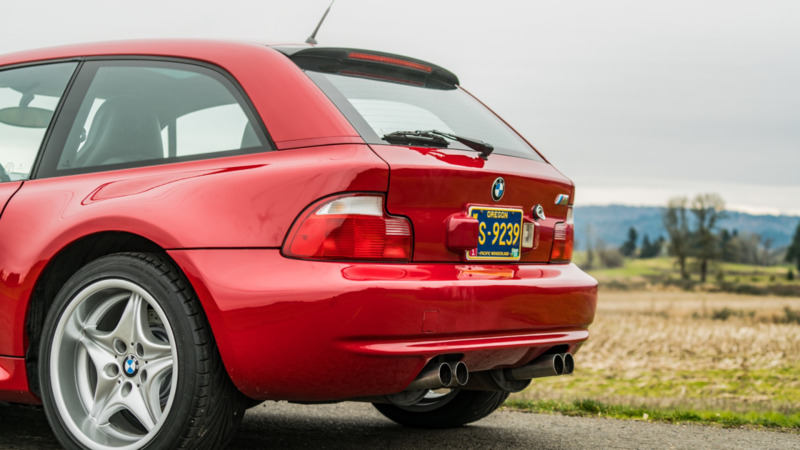 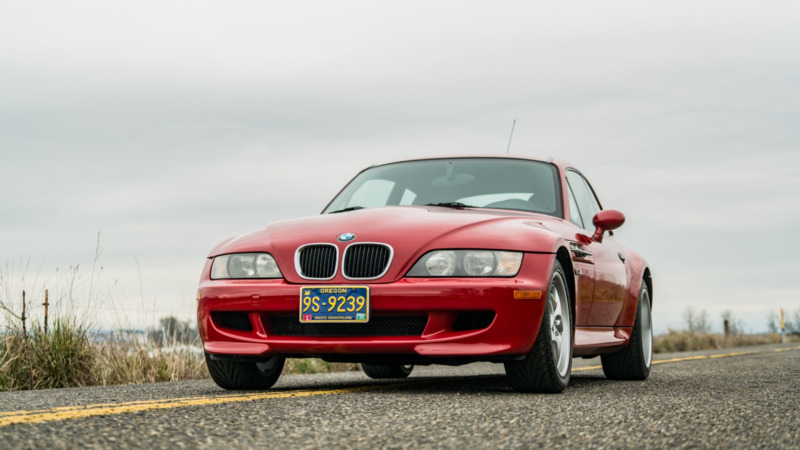 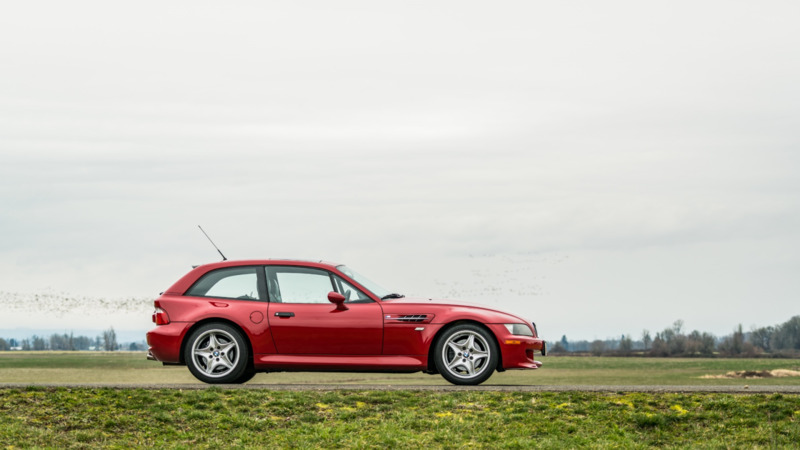 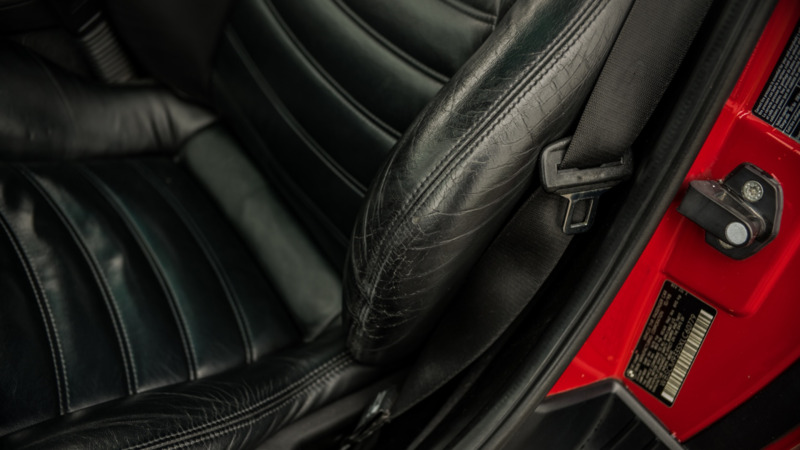 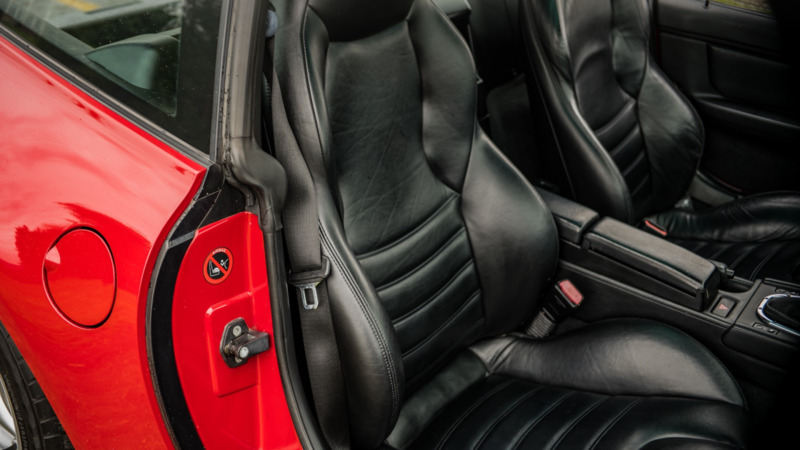 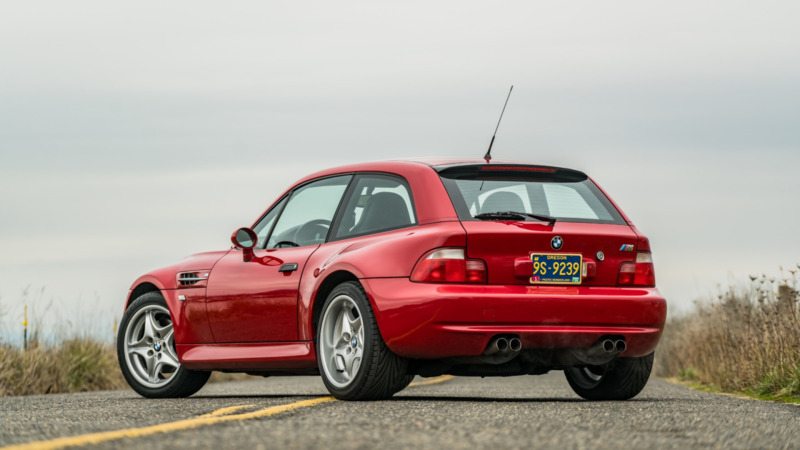 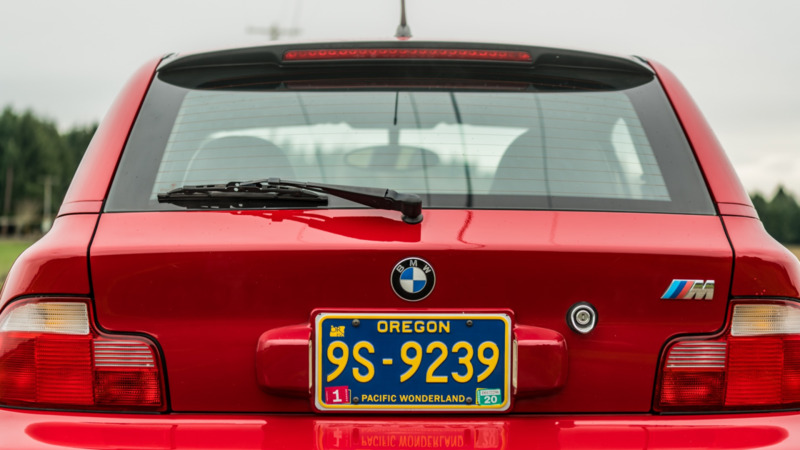 This 1999 BMW M Coupe was purchased new by the current owner in California and is finished in Imola Red over black Nappa leather. 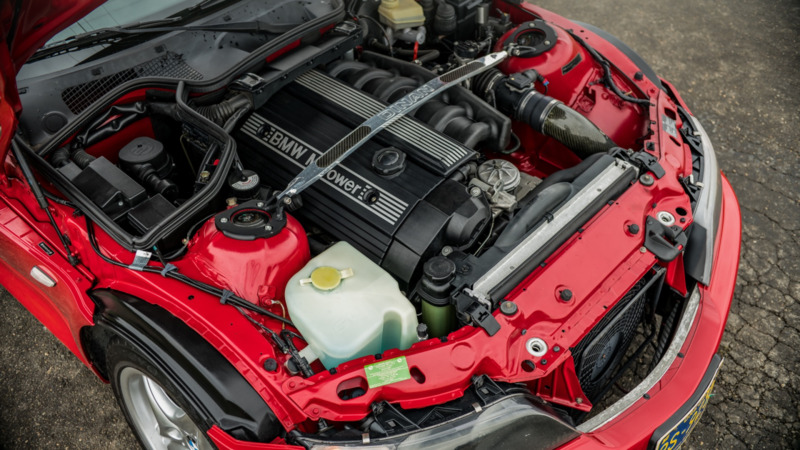 Power comes from a 3.2-liter S52 inline-six paired with a 5-speed manual transmission and a limited-slip differential. 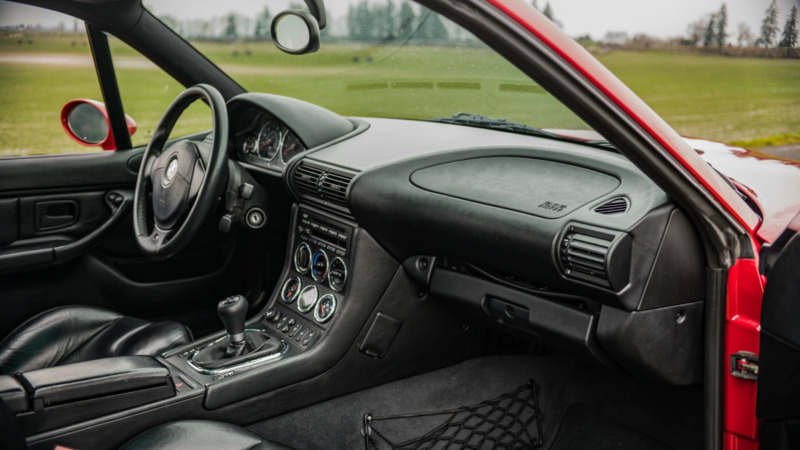 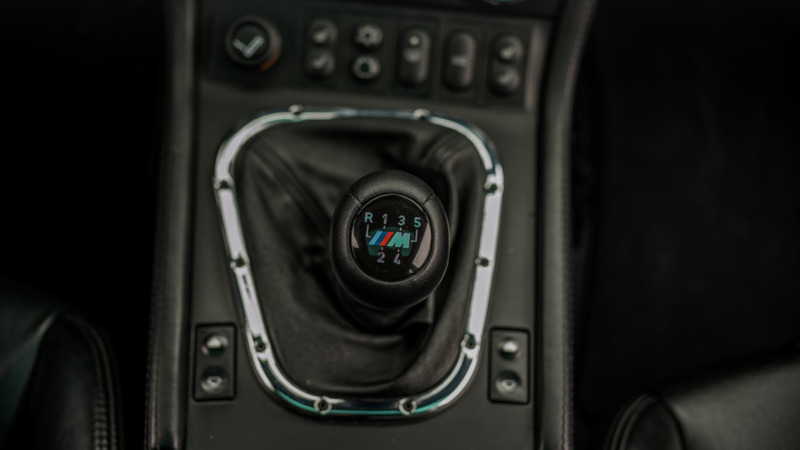 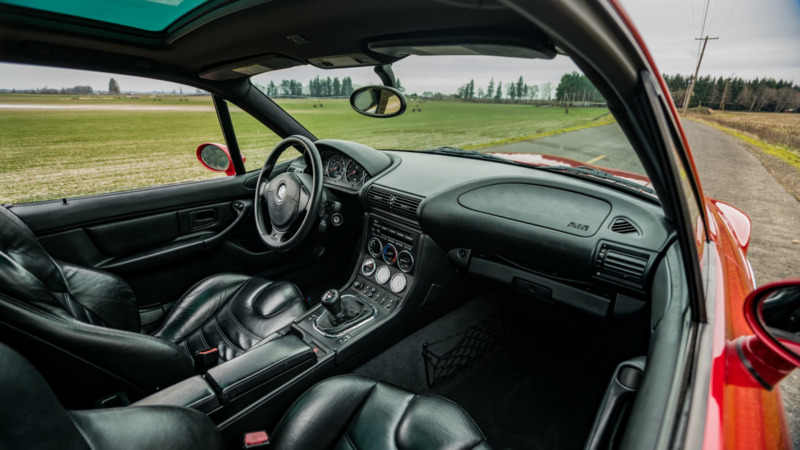 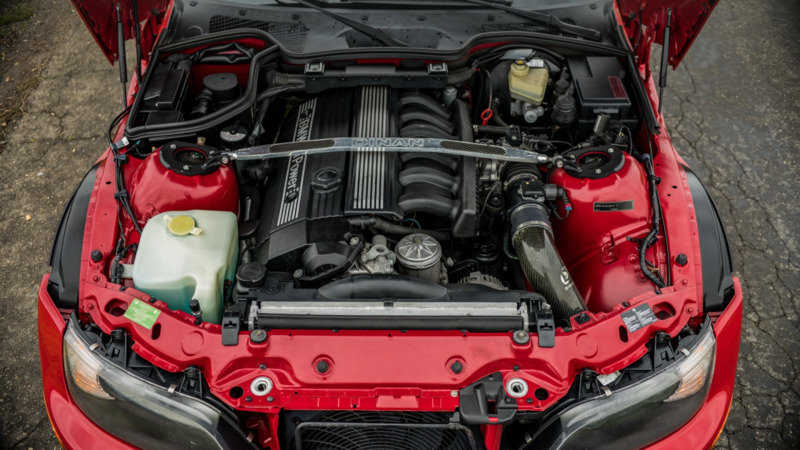 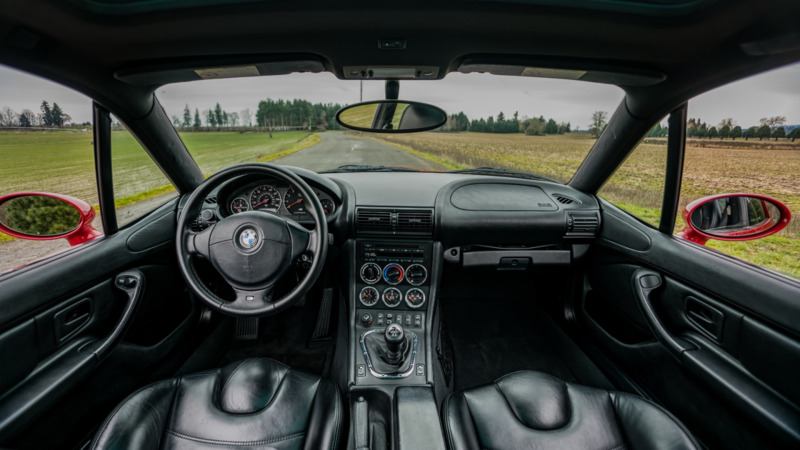 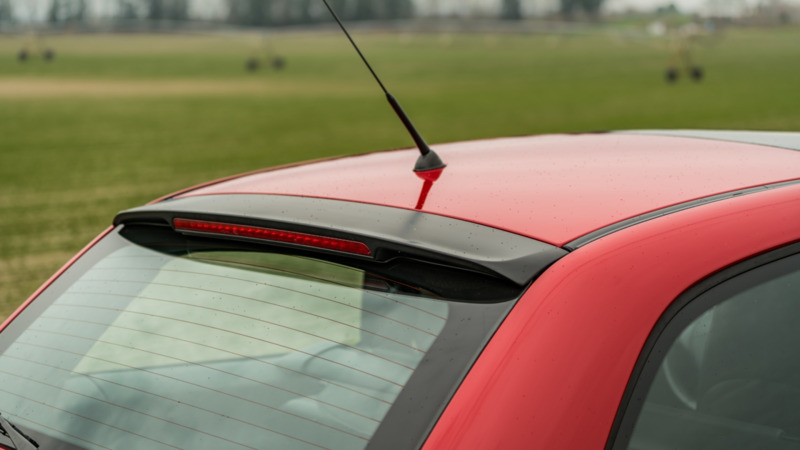 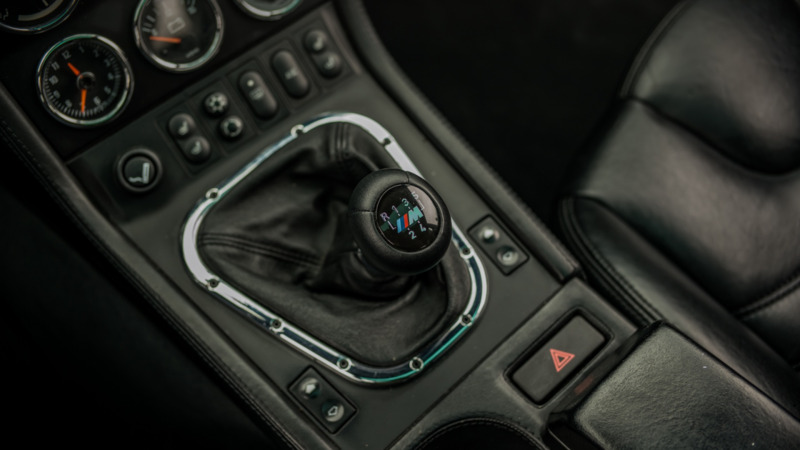 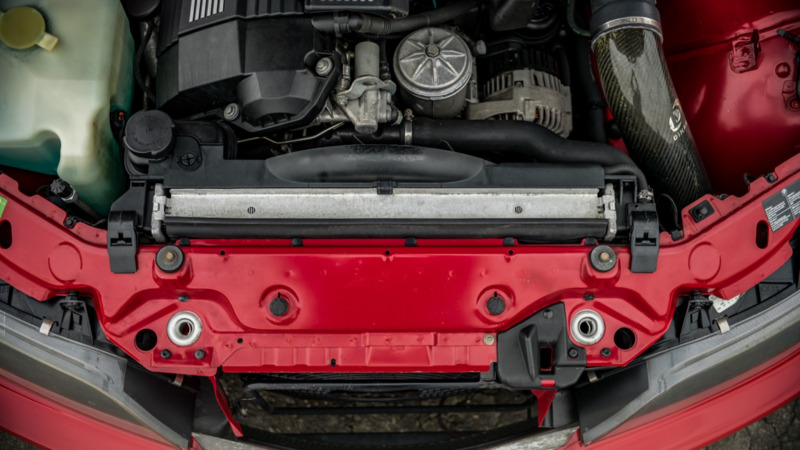 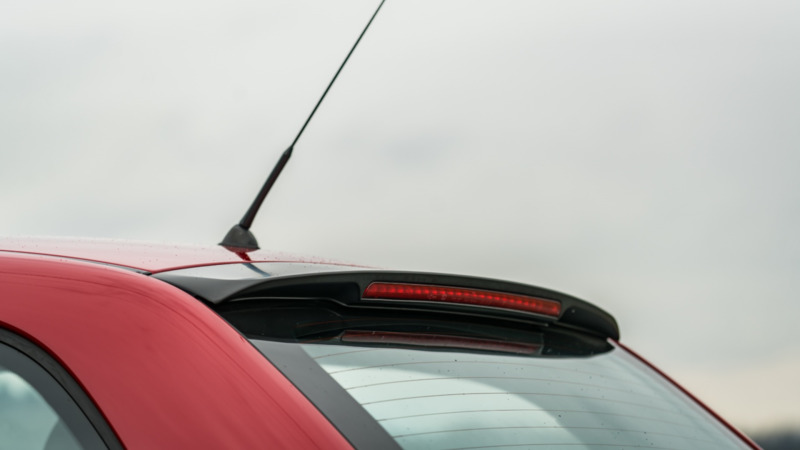 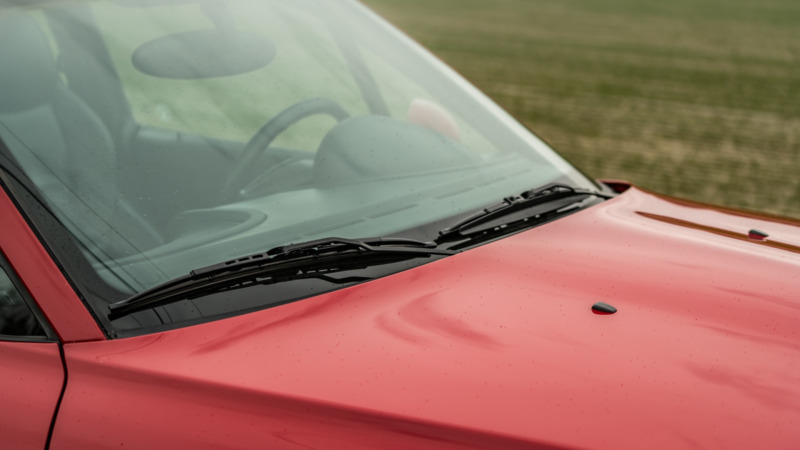 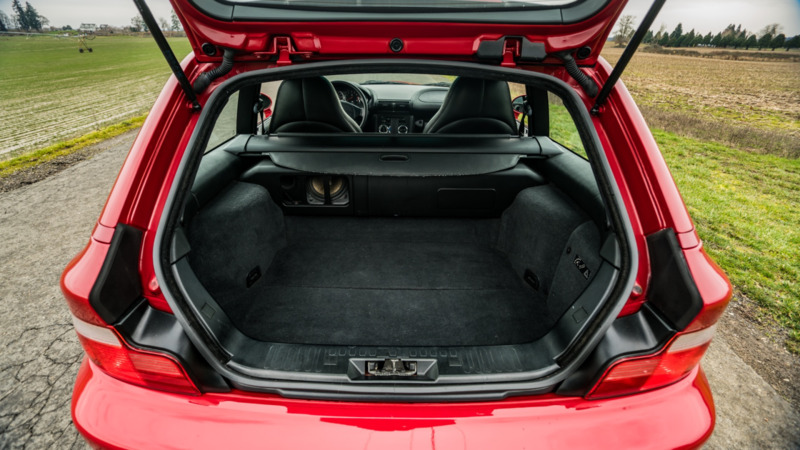 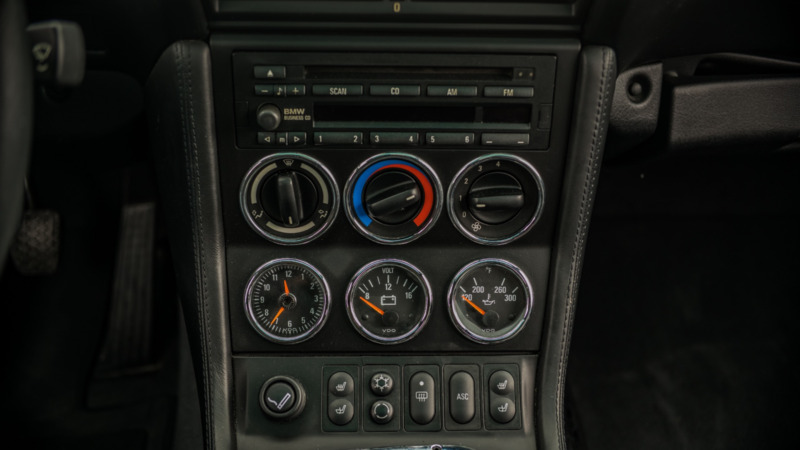 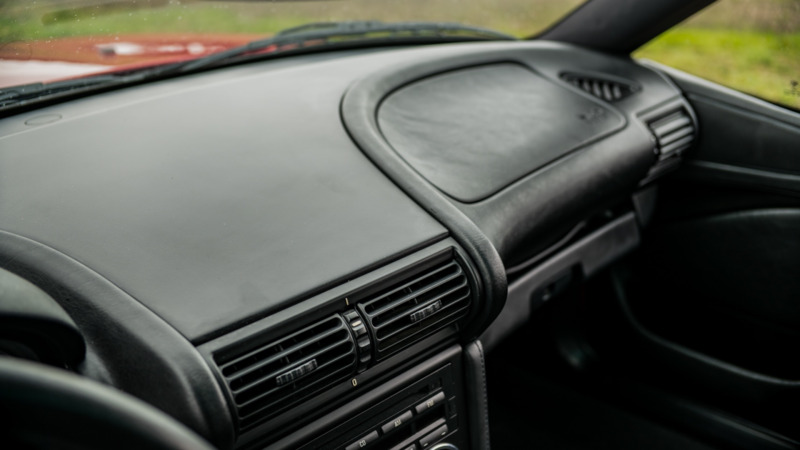 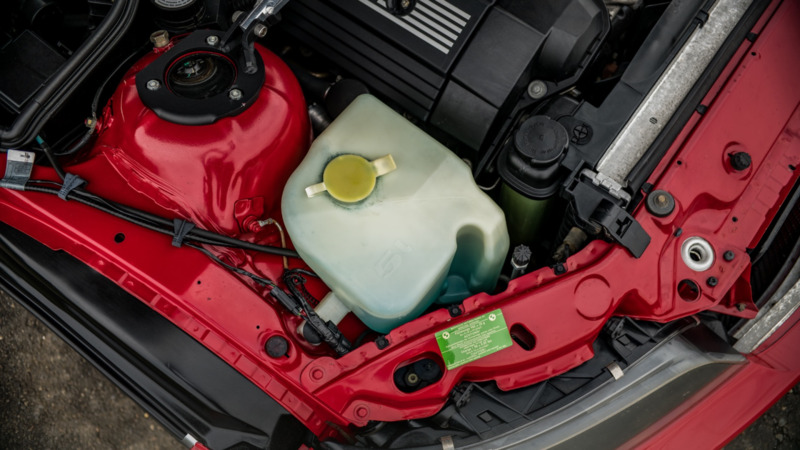 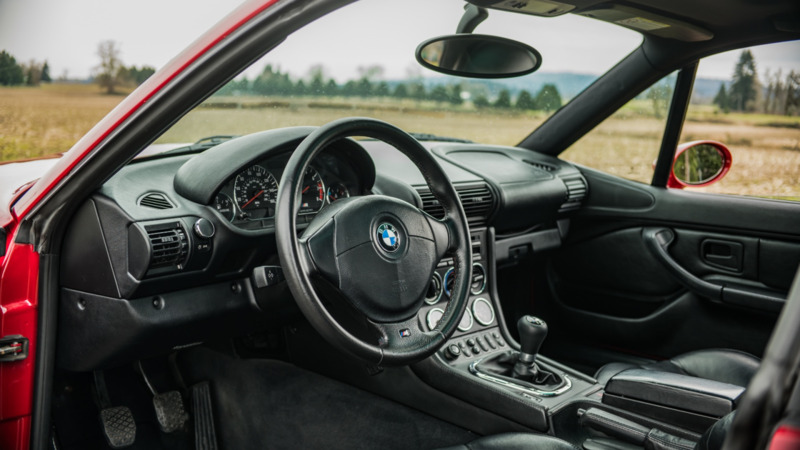 The car is equipped with a powered sunroof and heated sport seats, while upgraded parts from Dinan include a cold-air intake, ECU tune, and a front strut tower brace. 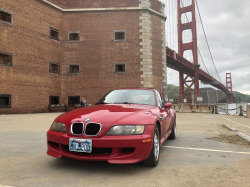 The clutch was replaced less than 20k miles ago, and 91k miles are now shown on the odometer. 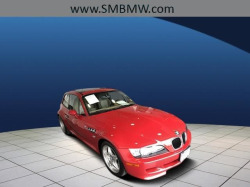 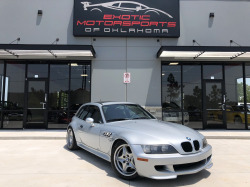 The selling dealer is offering this M Coupe on behalf of the original owner and has serviced it with new fluids and filters. 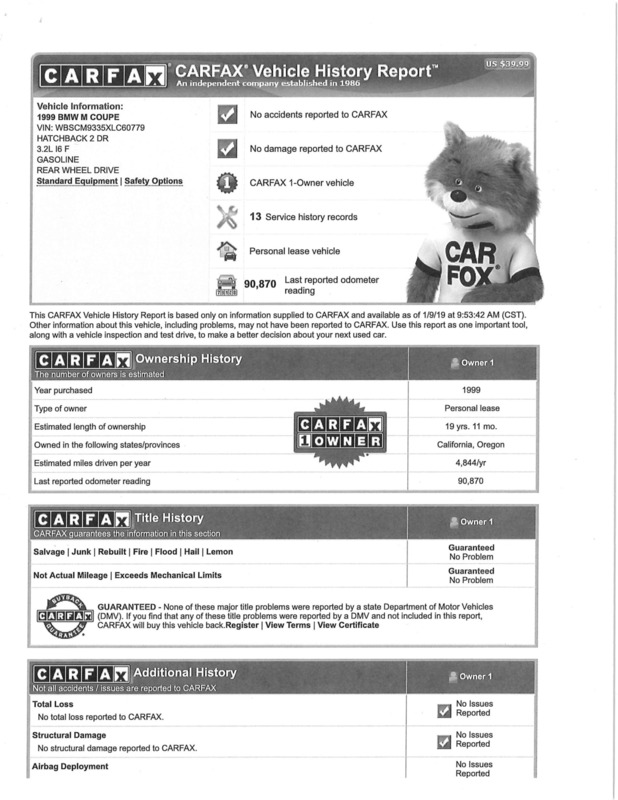 The original window sticker is included in the sale along with a clean Carfax report and a clean Oregon title. 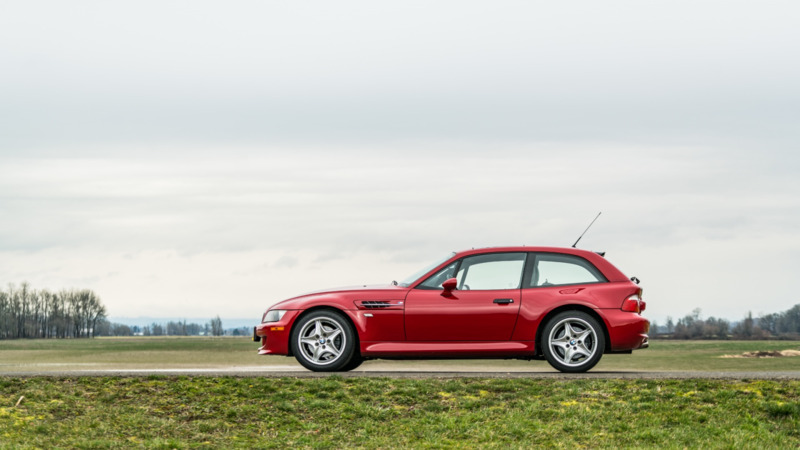 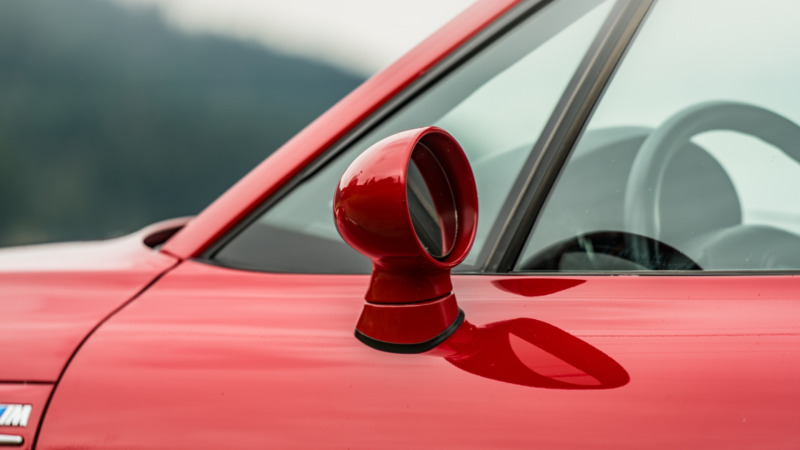 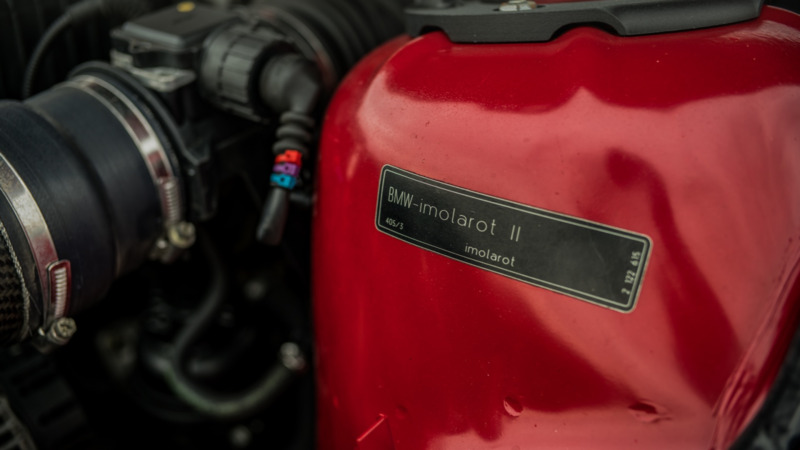 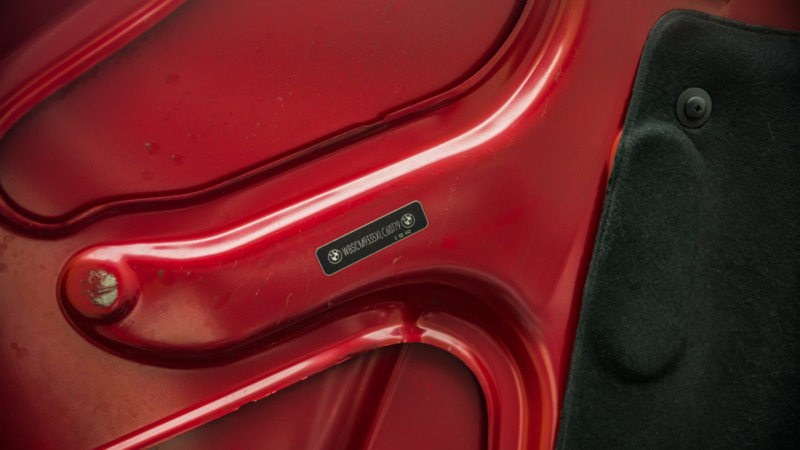 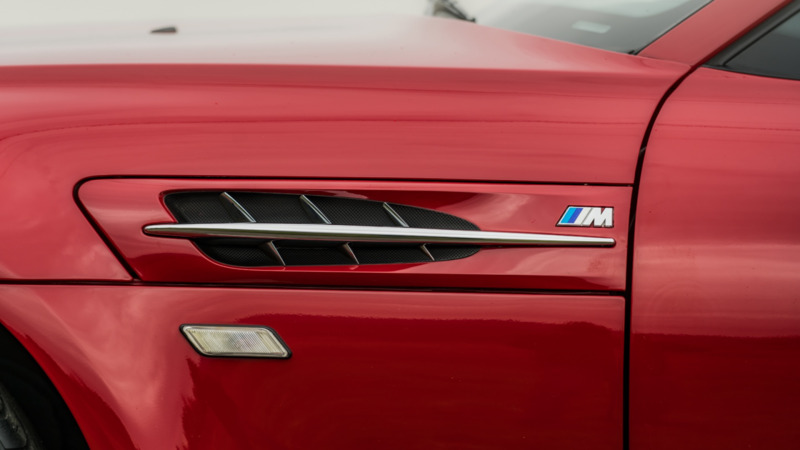 The car is one of just 183 examples finished in Imola Red over a black interior, and features include M-specific bodywork, quad exhaust tips, and an optional powered sunroof. 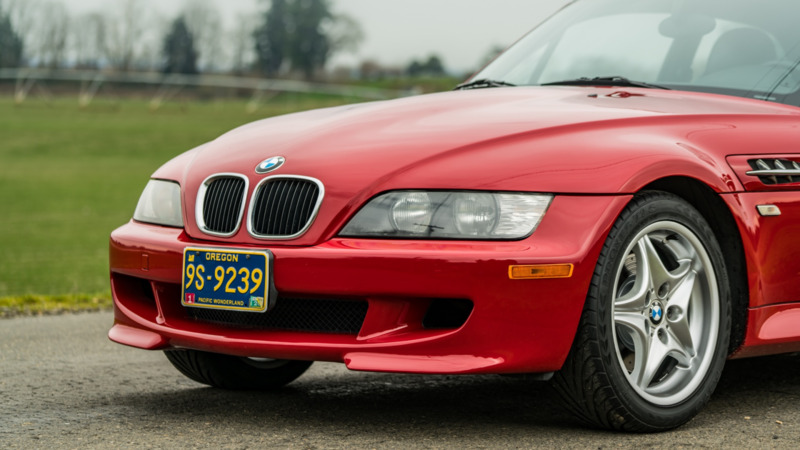 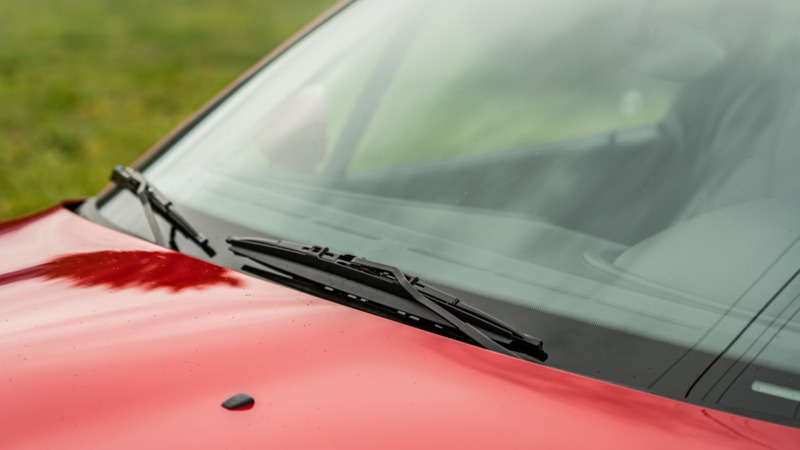 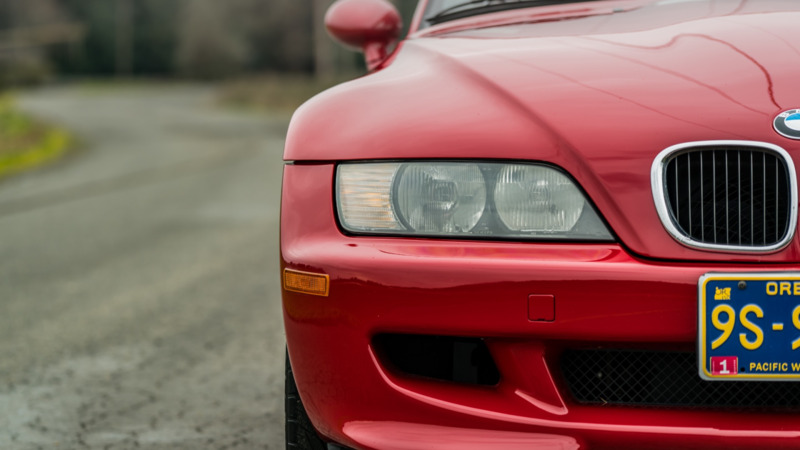 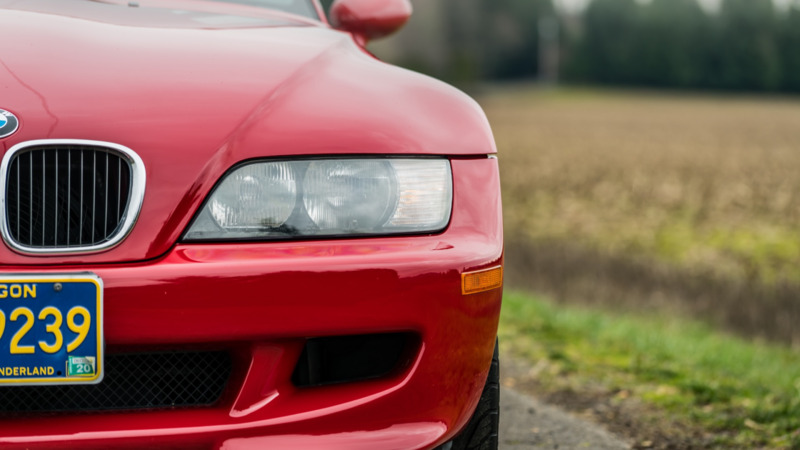 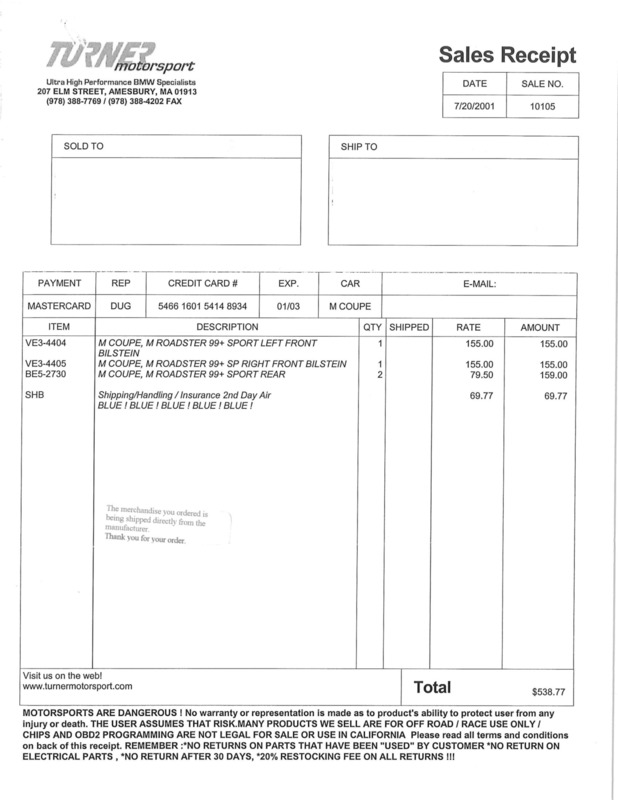 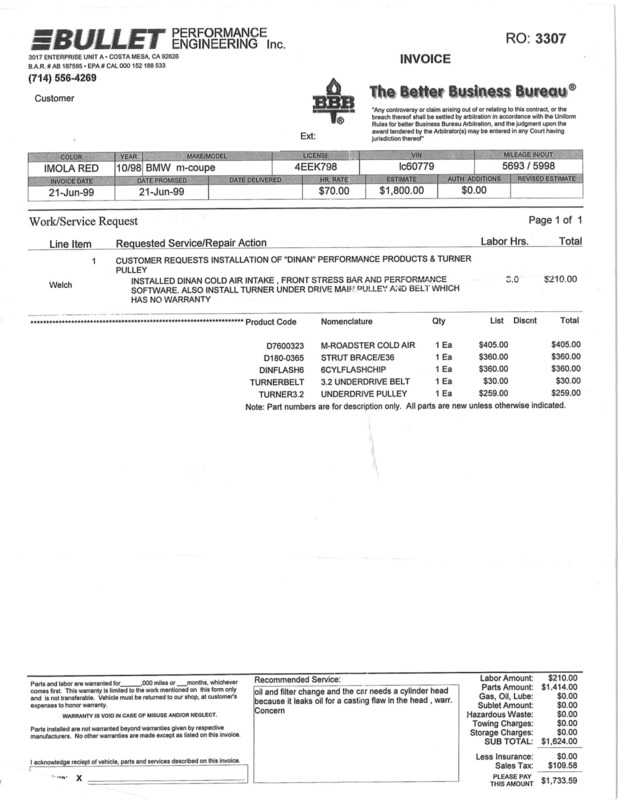 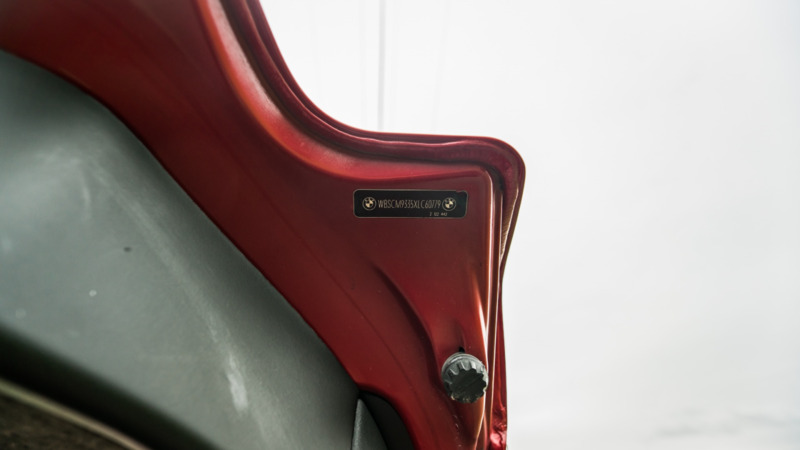 The seller states that the bumpers were repainted to eliminate rock chips and scratches. 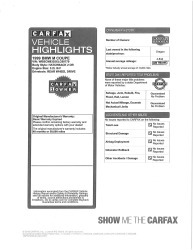 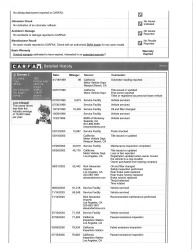 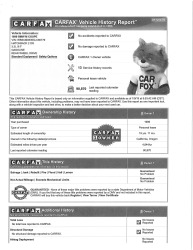 The included Carfax shows no damage or accident reports. 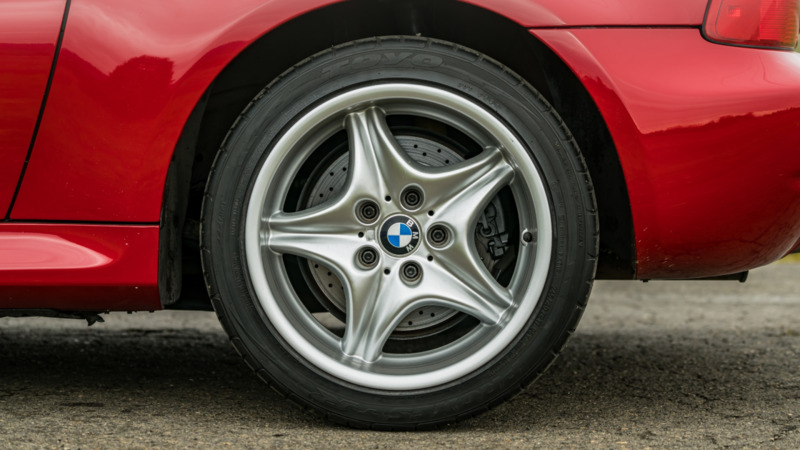 17″ Style 40 wheels measure 7.5″ wide in front and 9″ out back. 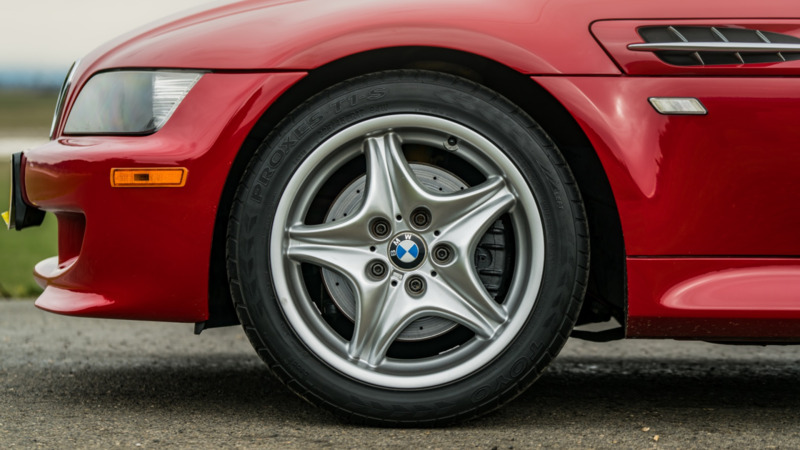 Toyo Proxes T1-S tires are mounted and show 2003 and 2004 date codes. 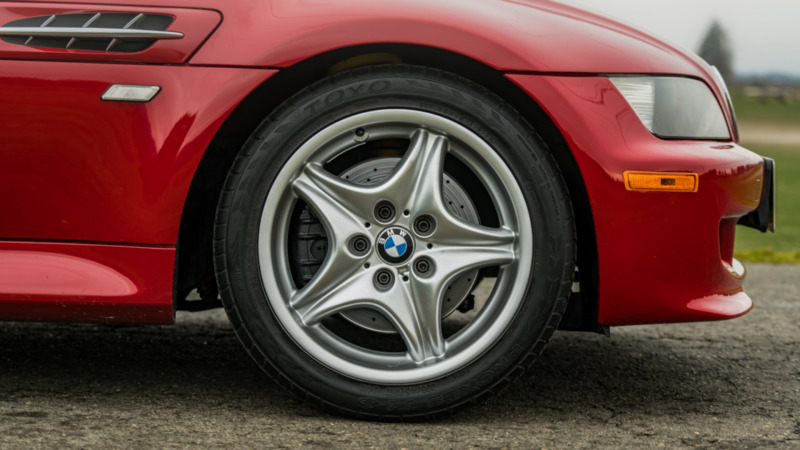 A Brembo brake kit was installed in 2005 and includes drilled rotors. 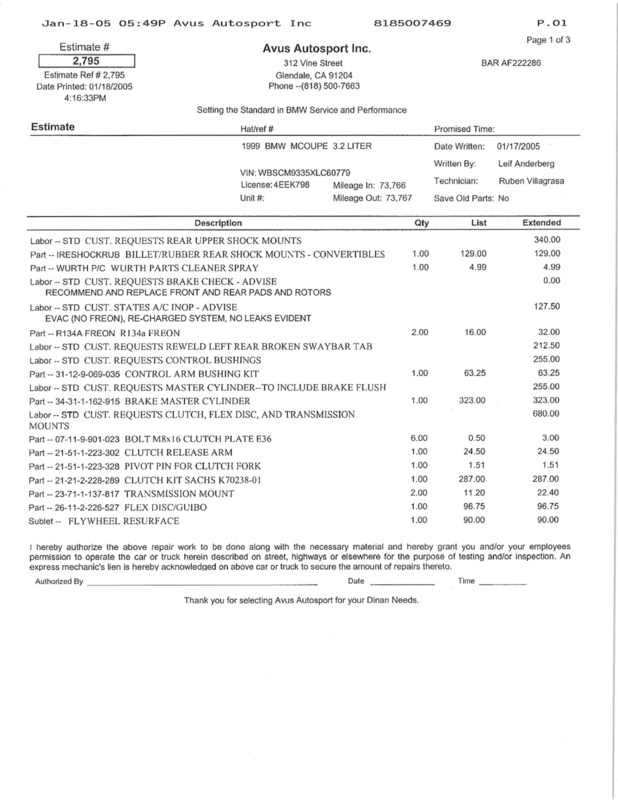 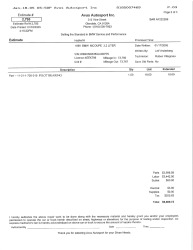 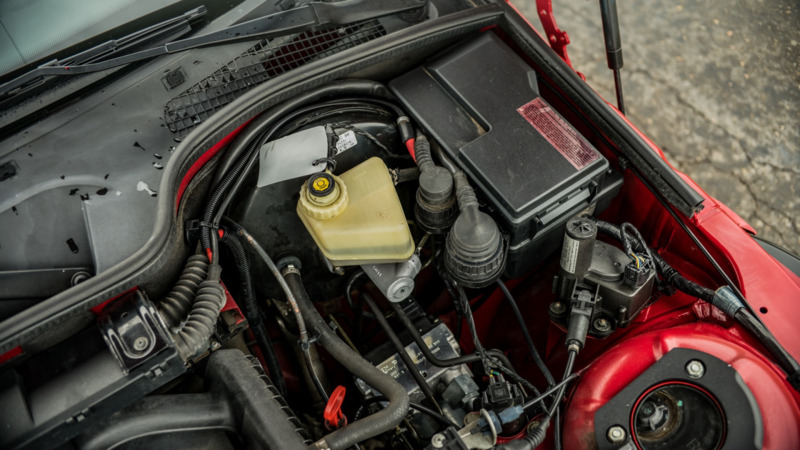 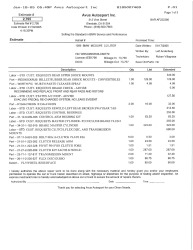 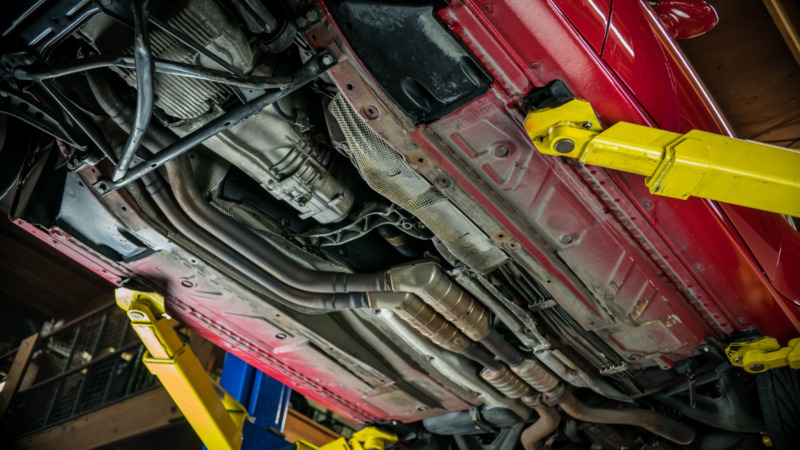 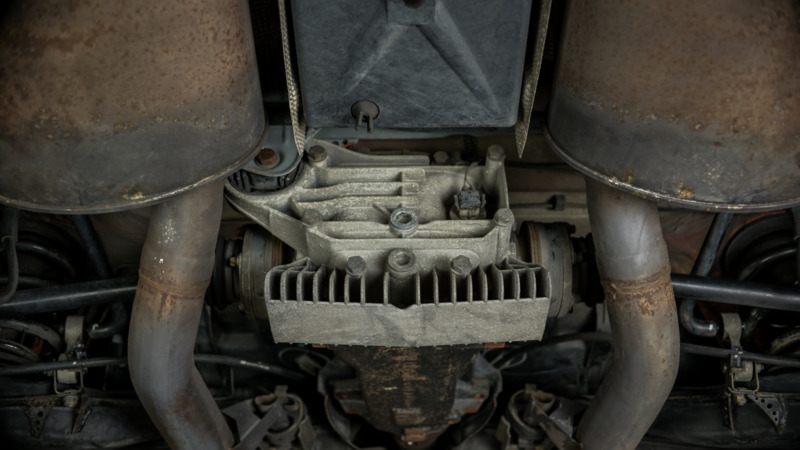 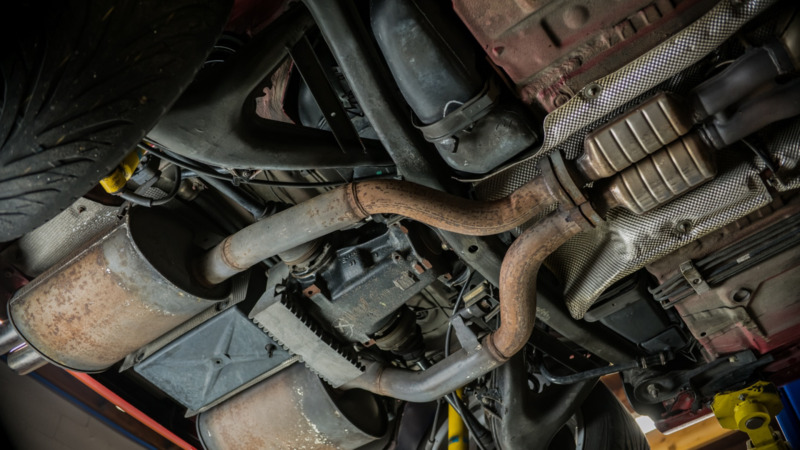 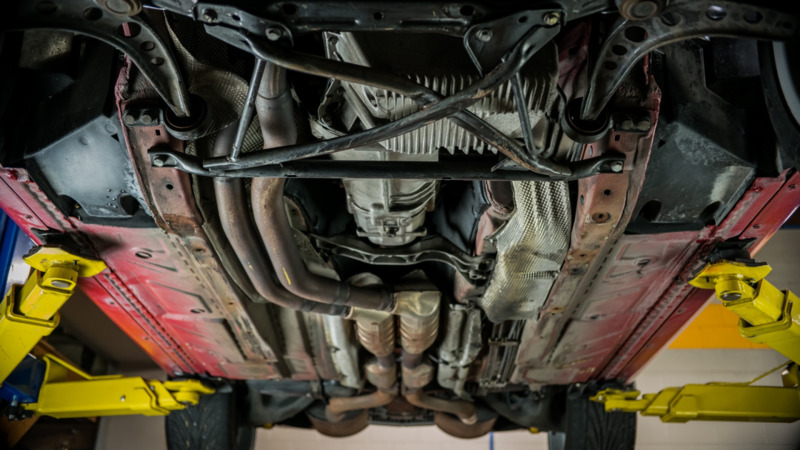 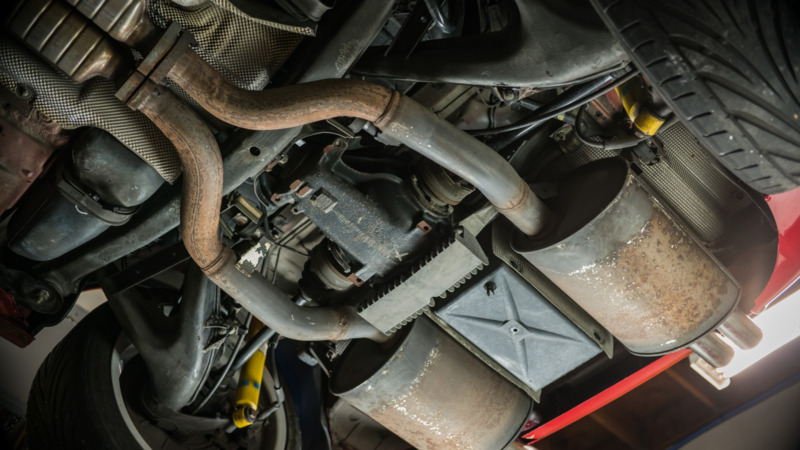 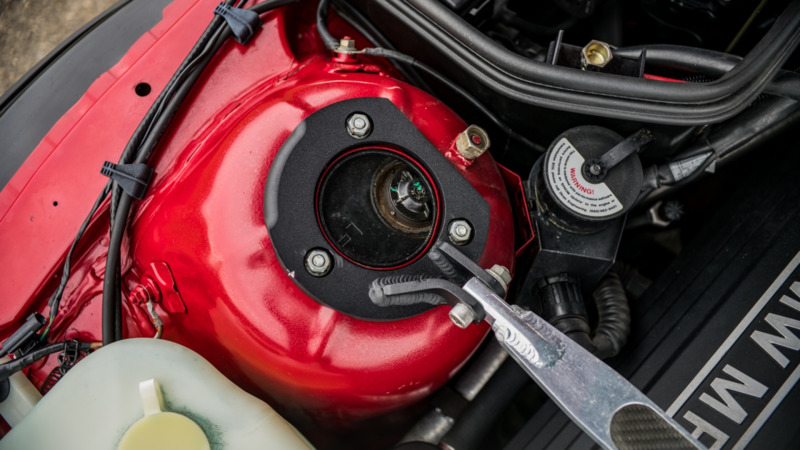 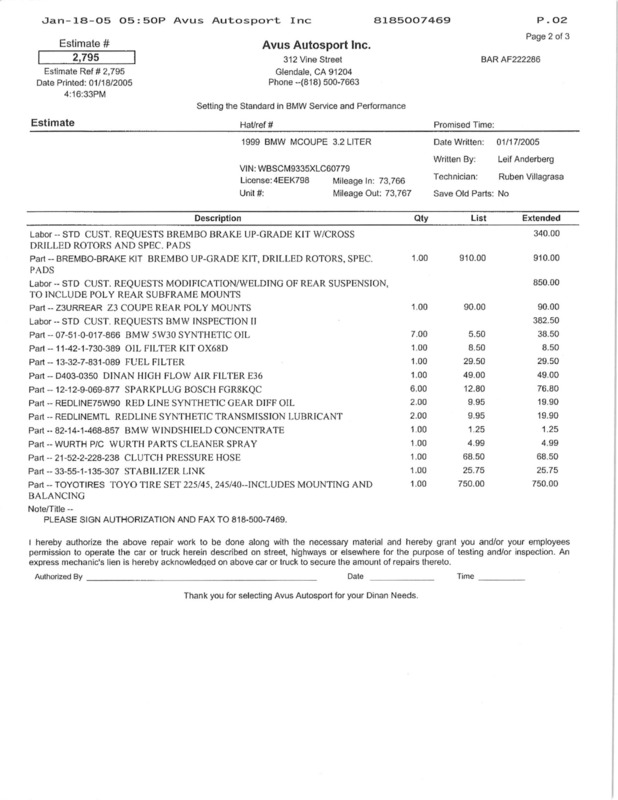 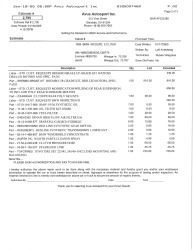 Stuttgart Autotech of Lake Oswego, Oregon replaced the brake master cylinder and flushed the brake fluid in October 2017. 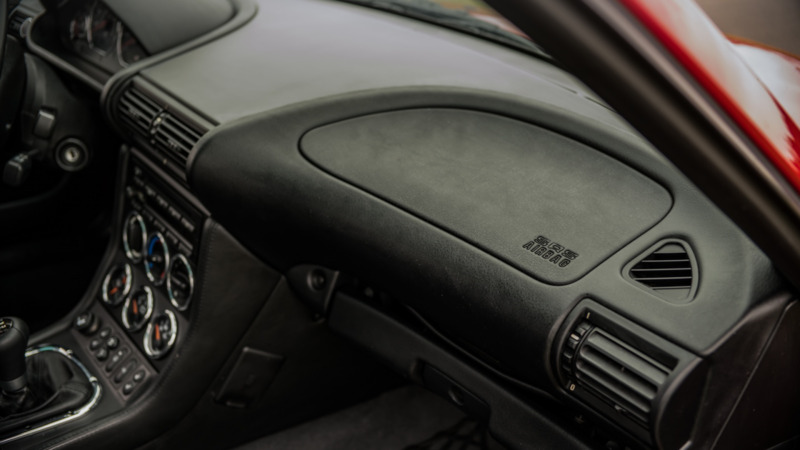 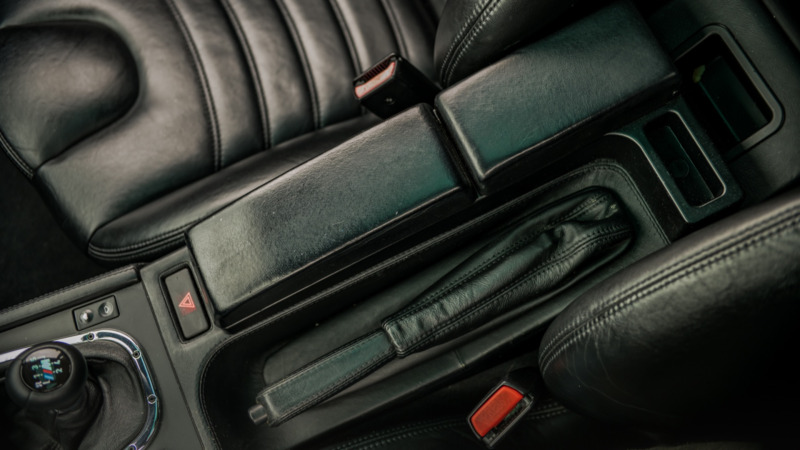 The black interior features Nappa leather on the heated sport seats, center console, and interior door handles. 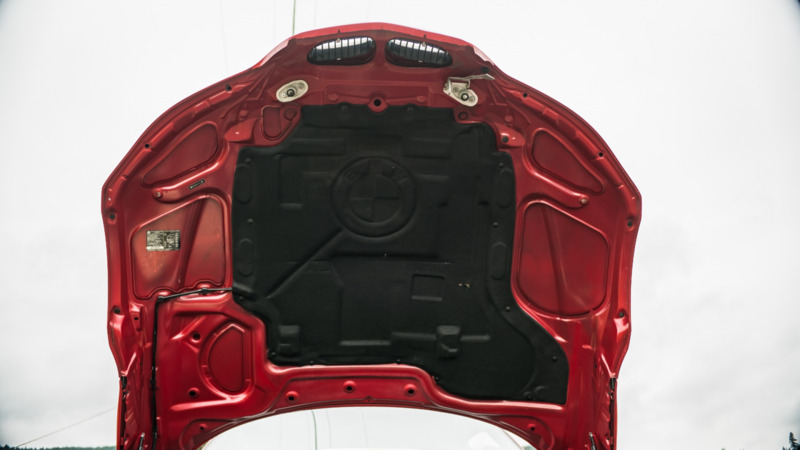 A speaker cover is missing in the rear compartment. 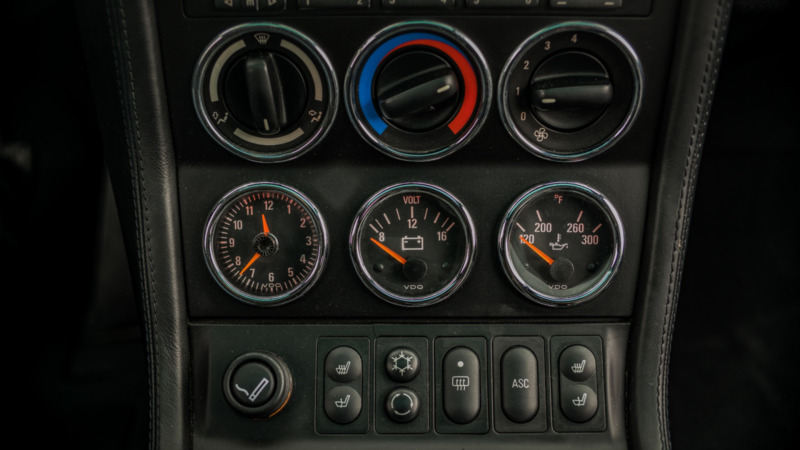 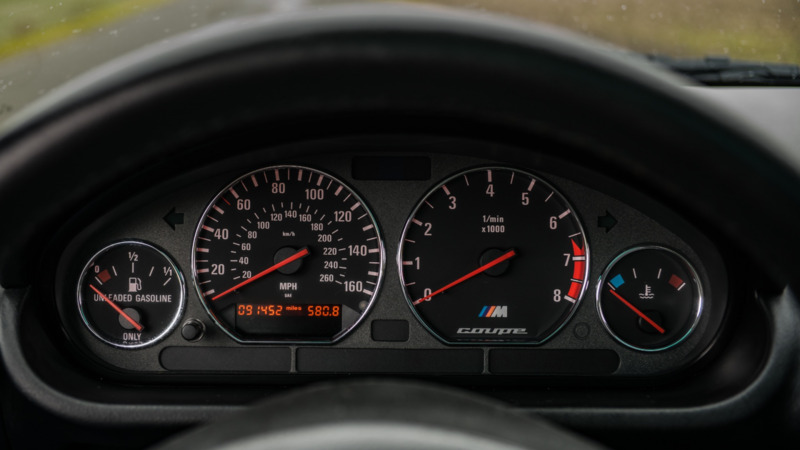 Instrumentation includes a 160-mph speedometer, a 8k-rpm speedometer, an analog clock, and a digital odometer showing 91,500 miles. 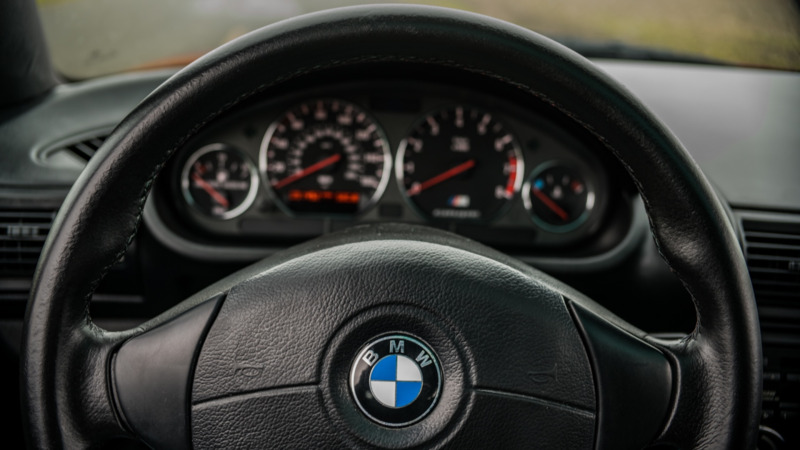 The BMW Business CD head unit is retained and is mounted above the Automatic Stability Control button on the center stack. 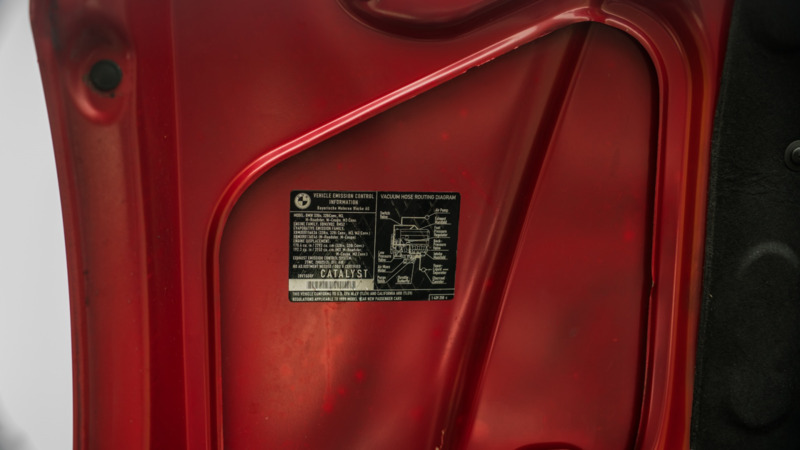 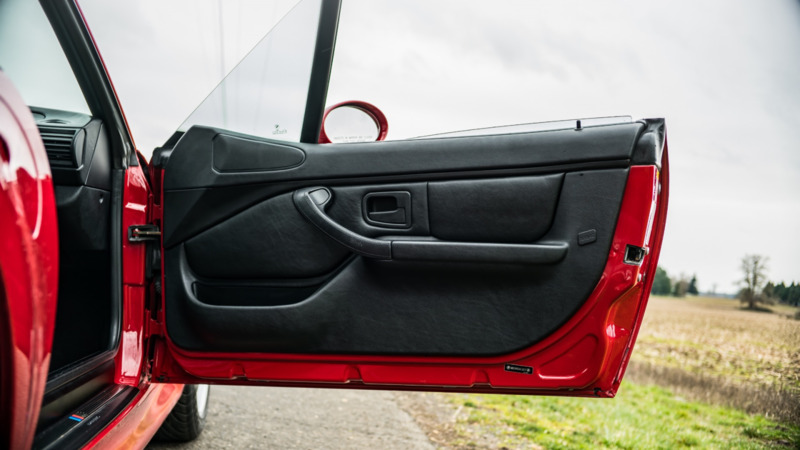 Photos show the glovebox ajar, though the seller states it has been repaired. 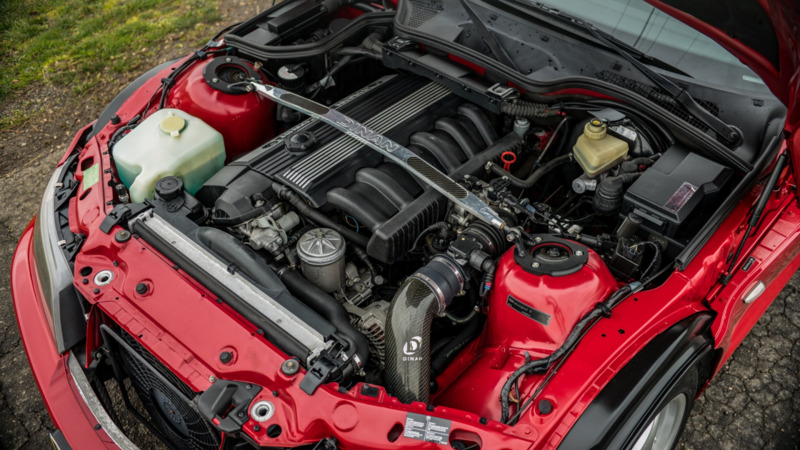 The 3.2-liter S52B32 inline-six is mated to a 5-speed ZF manual gearbox and 25% locking limited-slip differential. 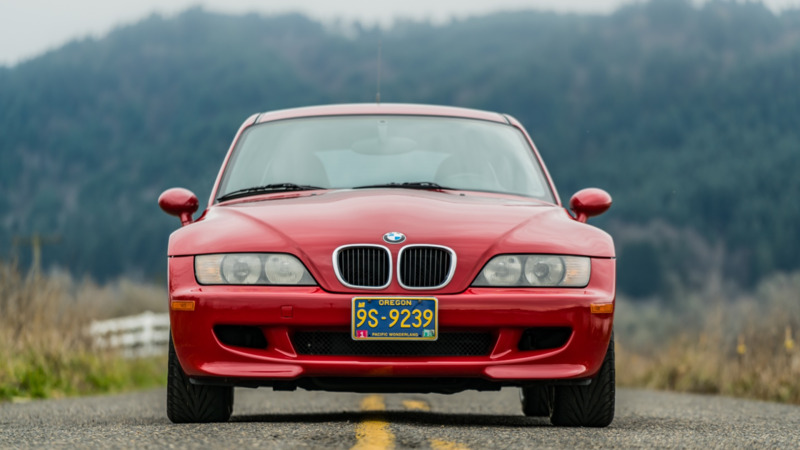 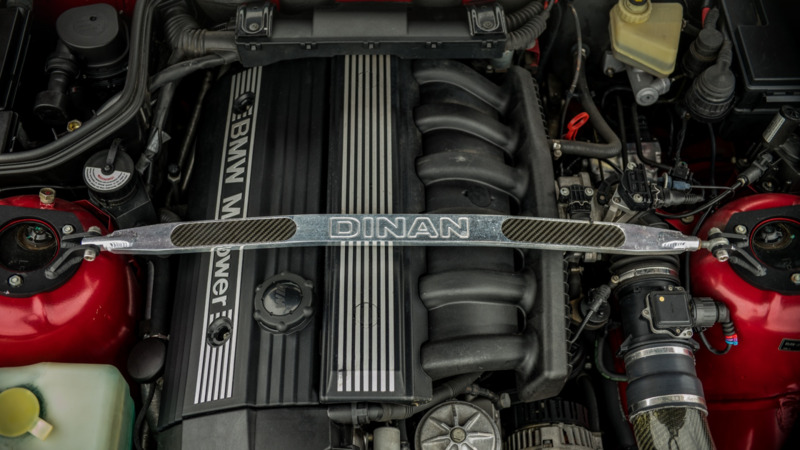 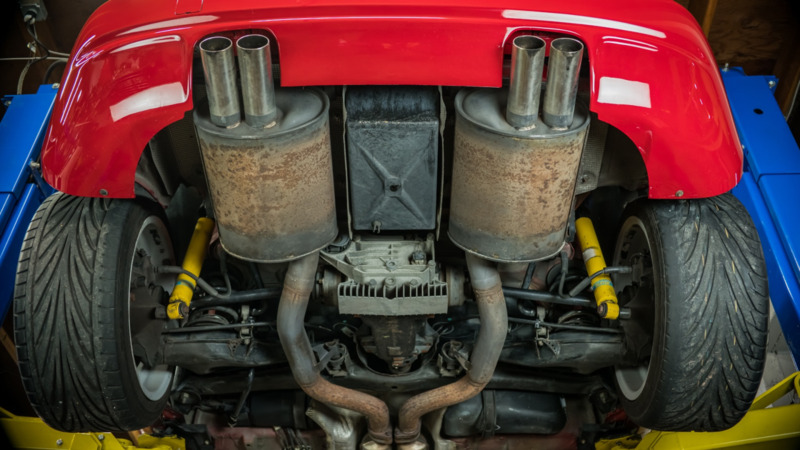 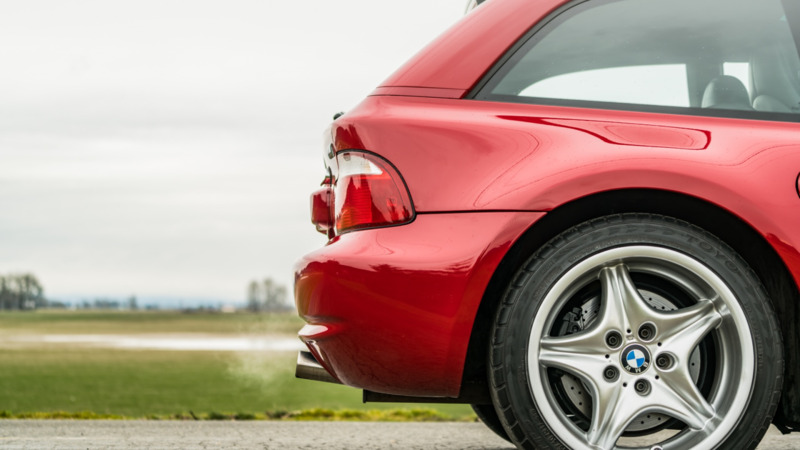 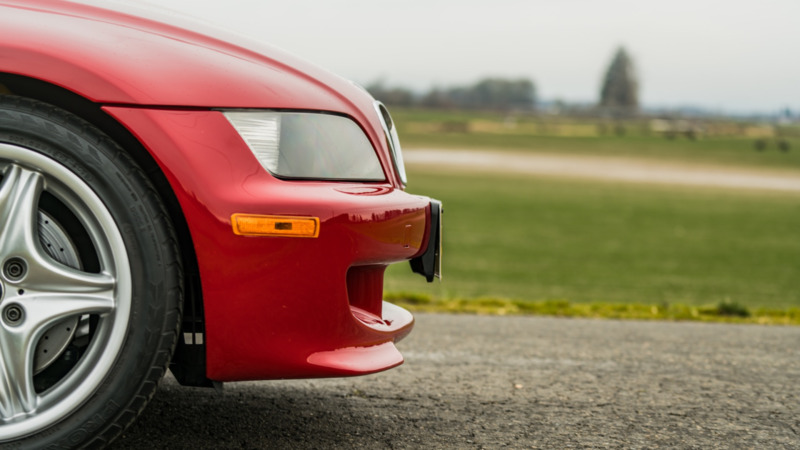 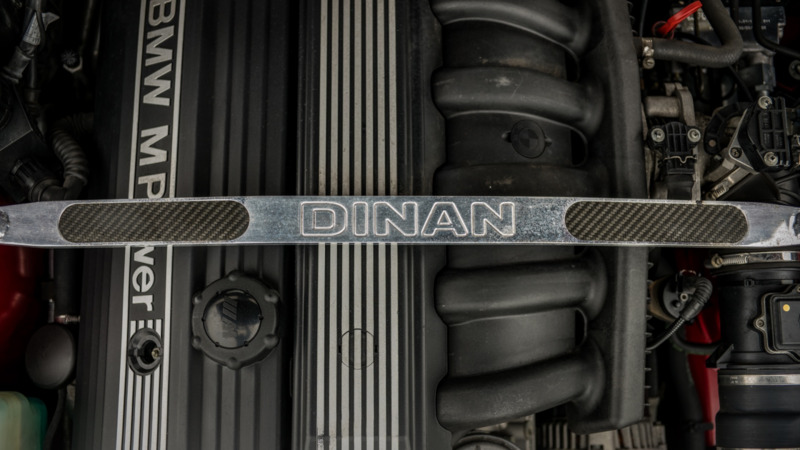 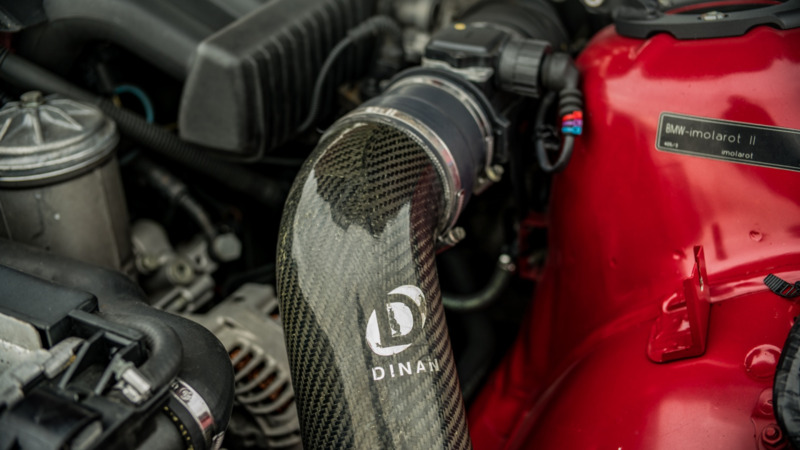 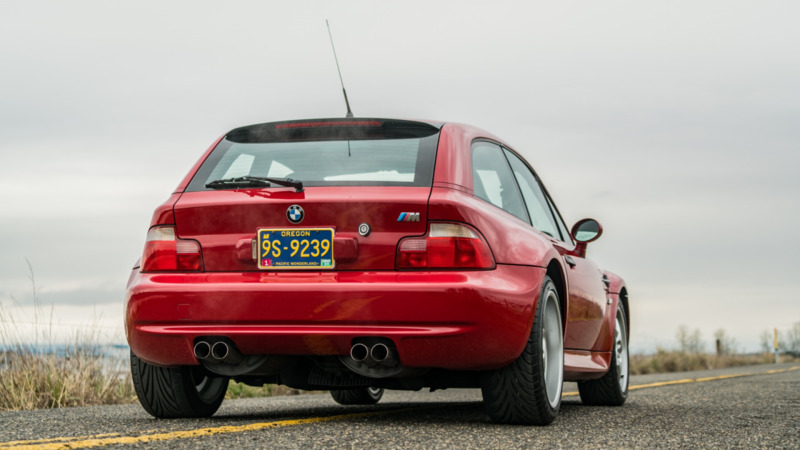 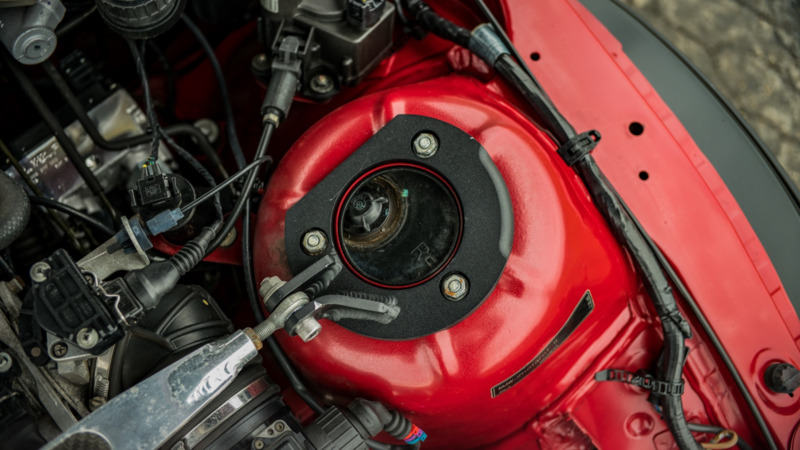 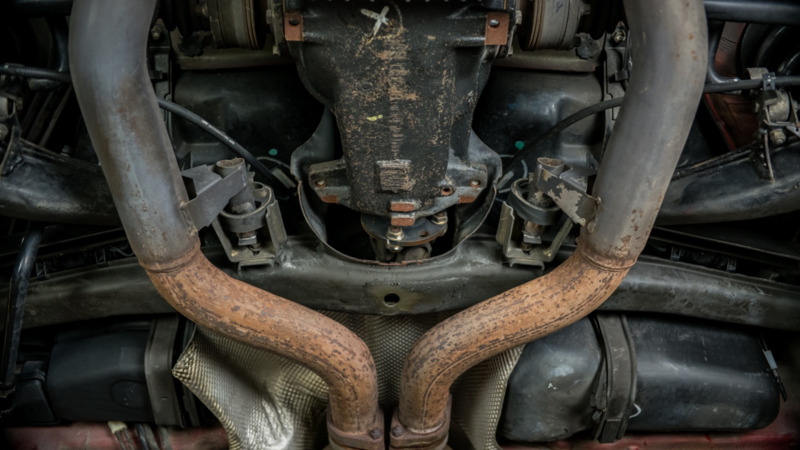 In 1999, Bullet Performance Engineering installed a Dinan cold air-intake and retuned the ECU. 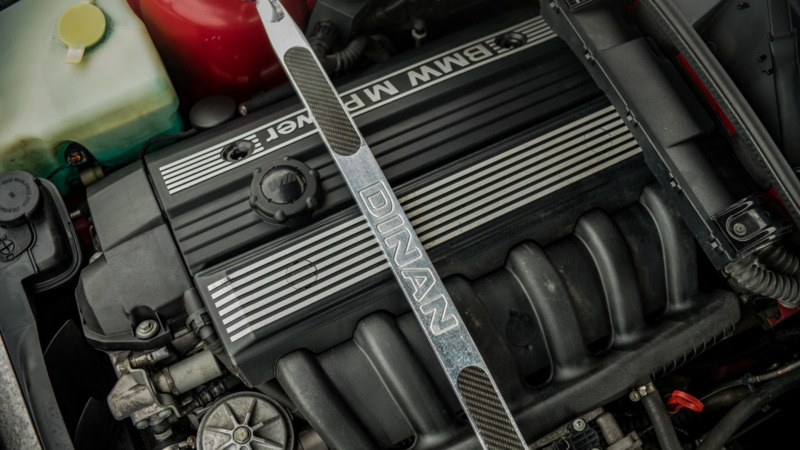 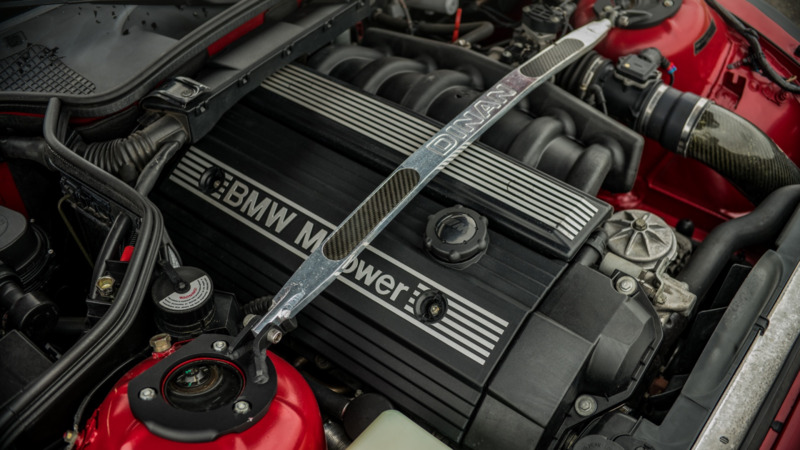 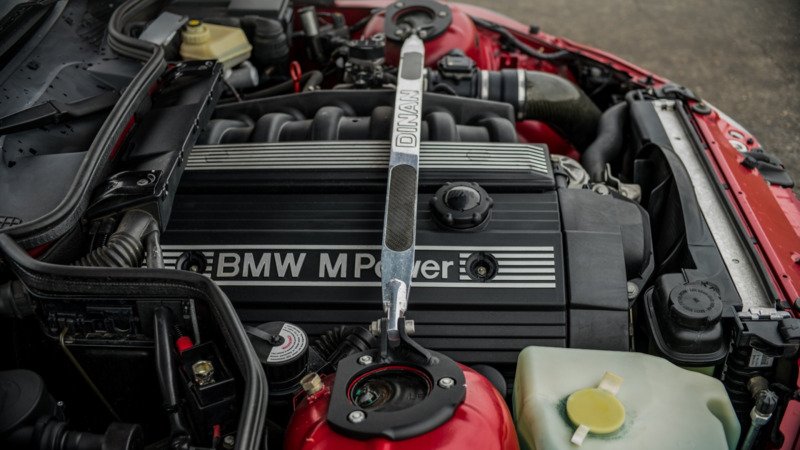 A Dinan strut brace has also been installed along with an under-drive pulley from Turner Motorsport. 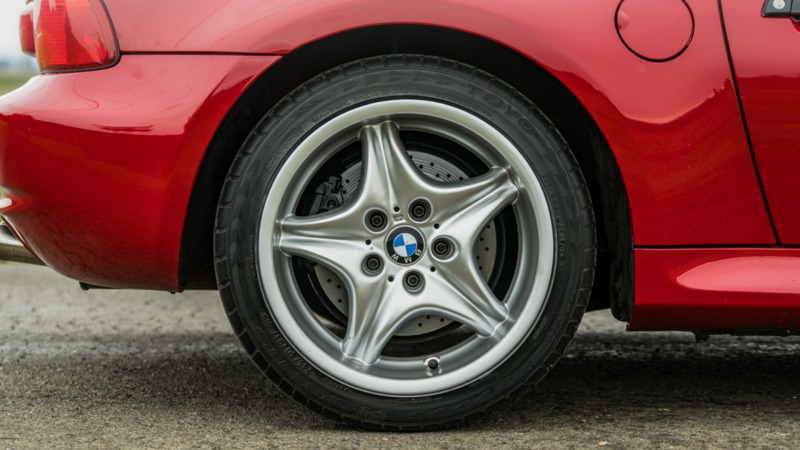 The clutch and guibo were replaced in 2005, and the flywheel was resurfaced. 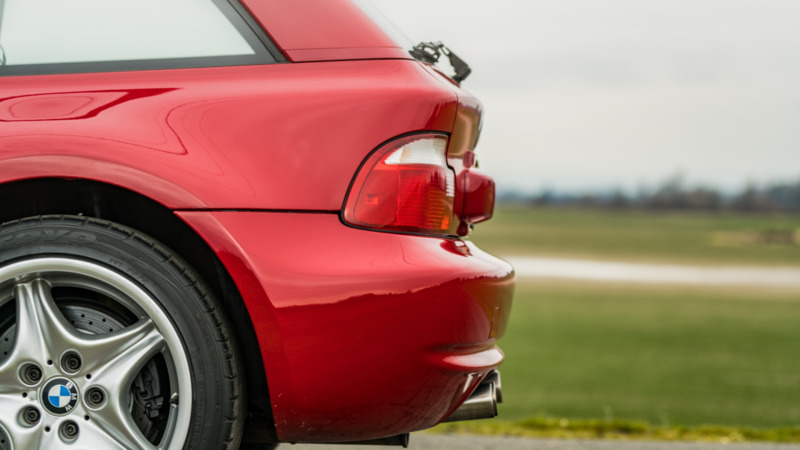 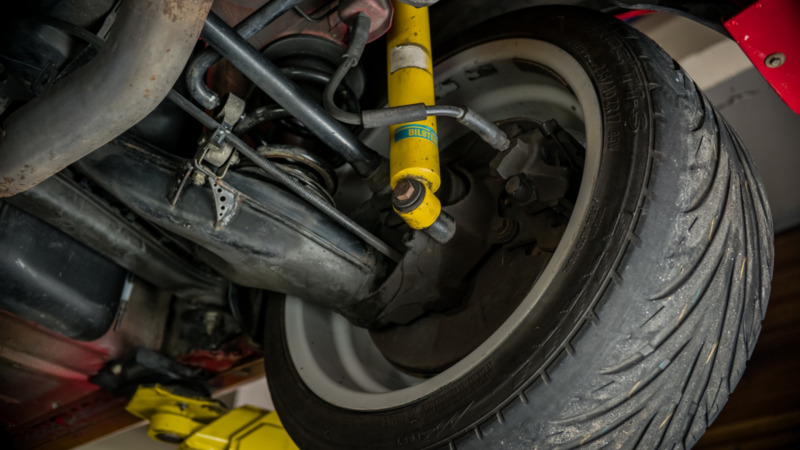 The MacPherson struts were fitted with Bilstein Sport shocks in 2001. 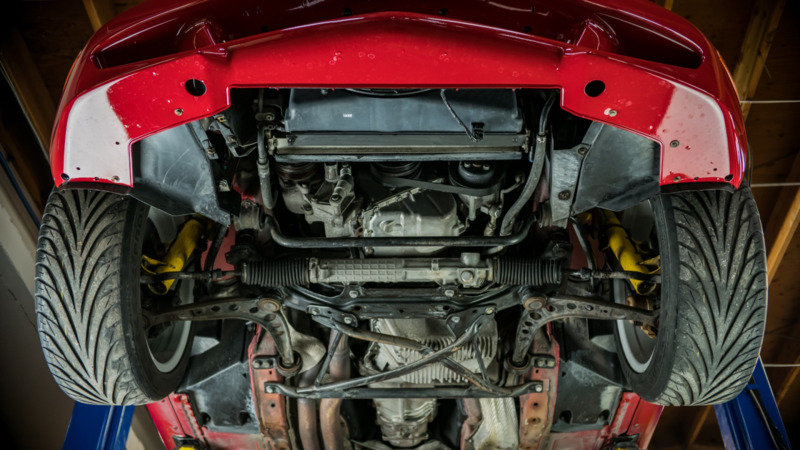 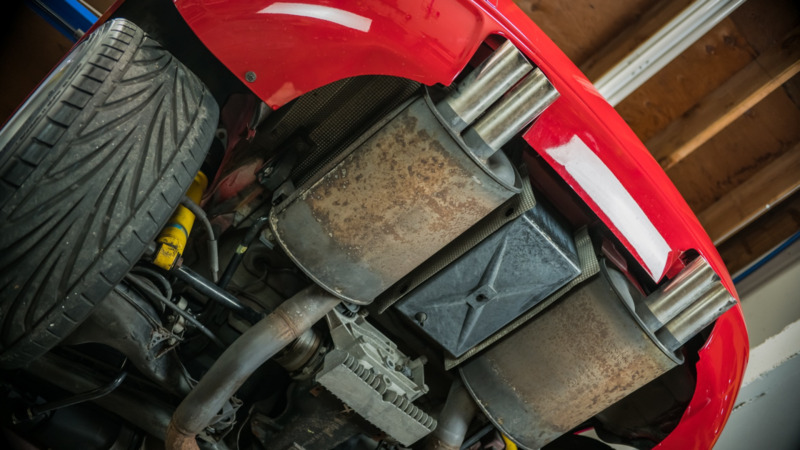 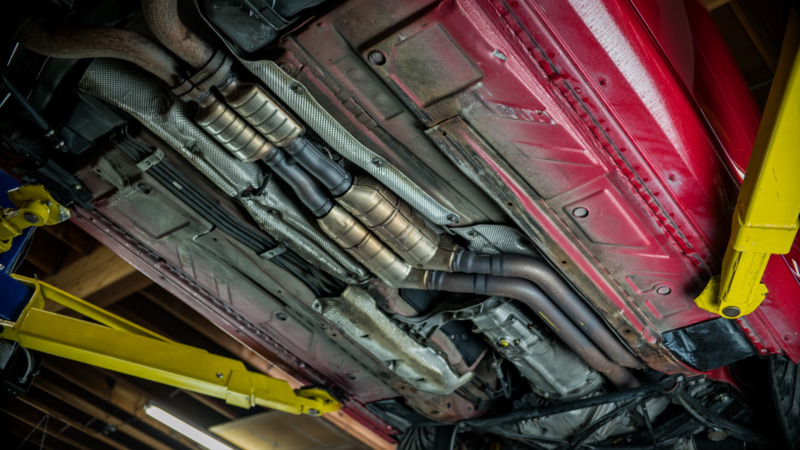 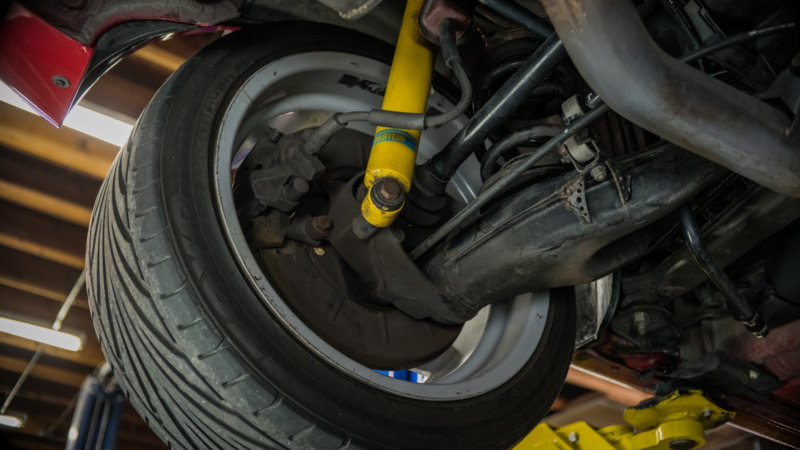 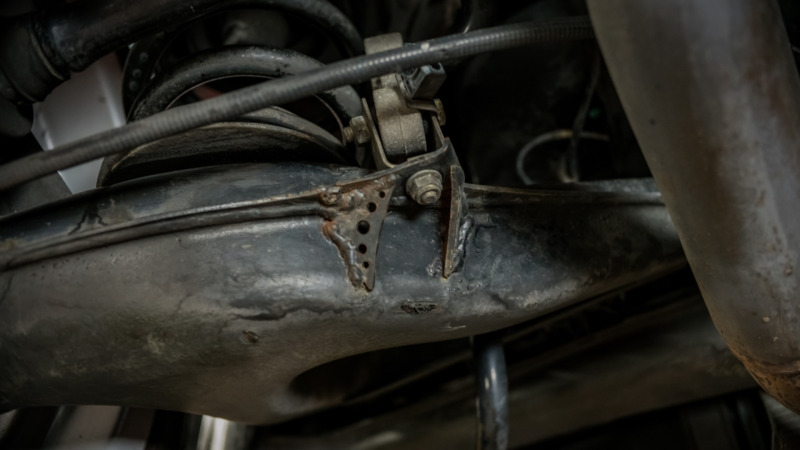 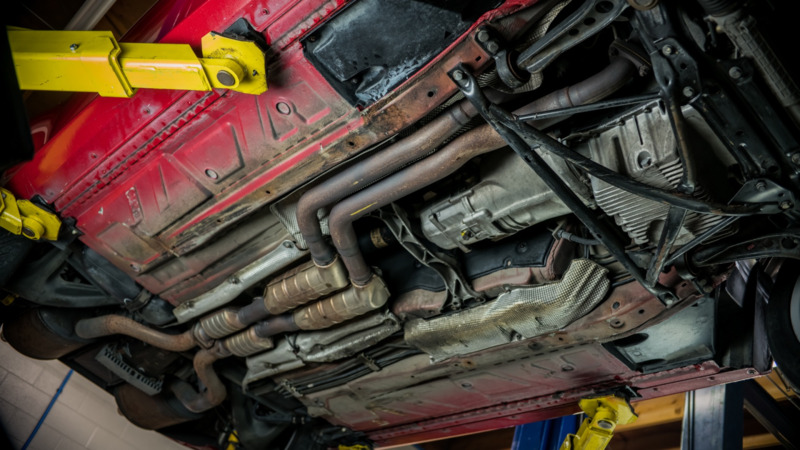 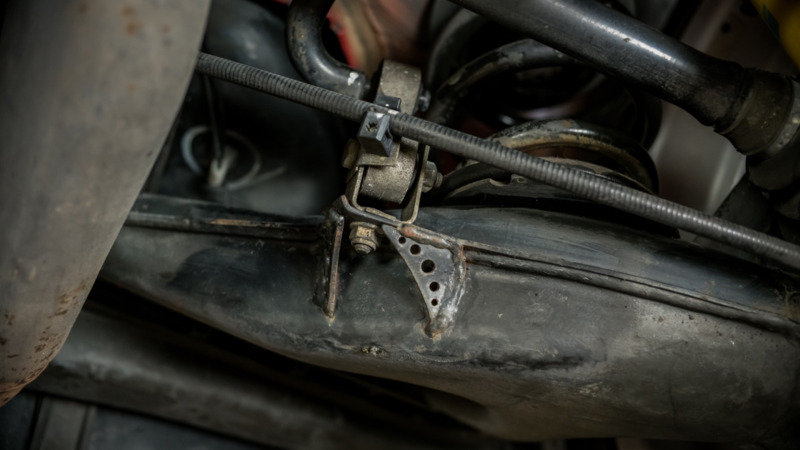 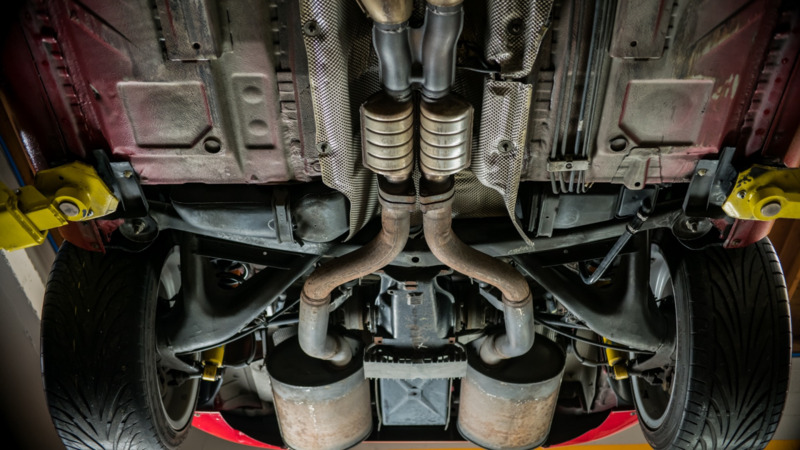 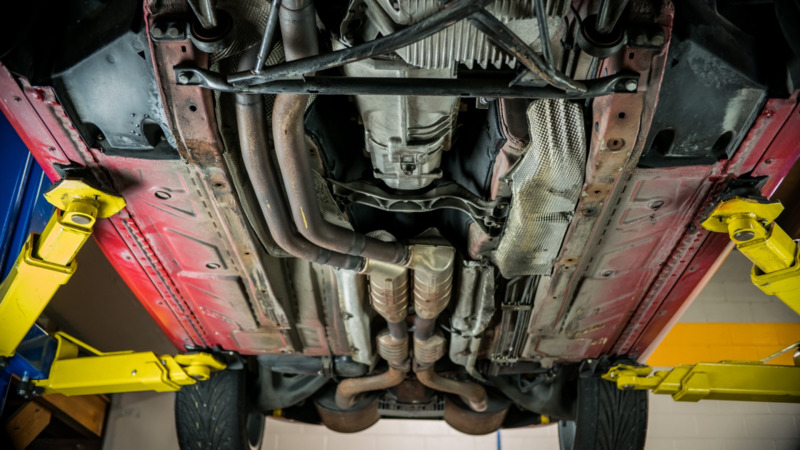 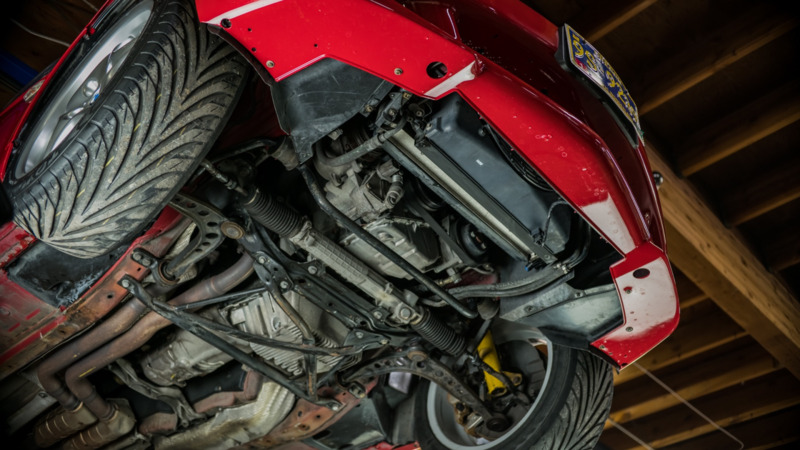 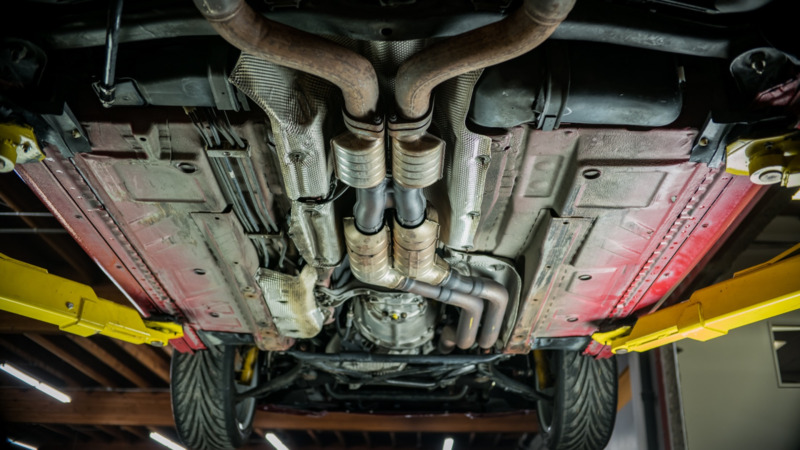 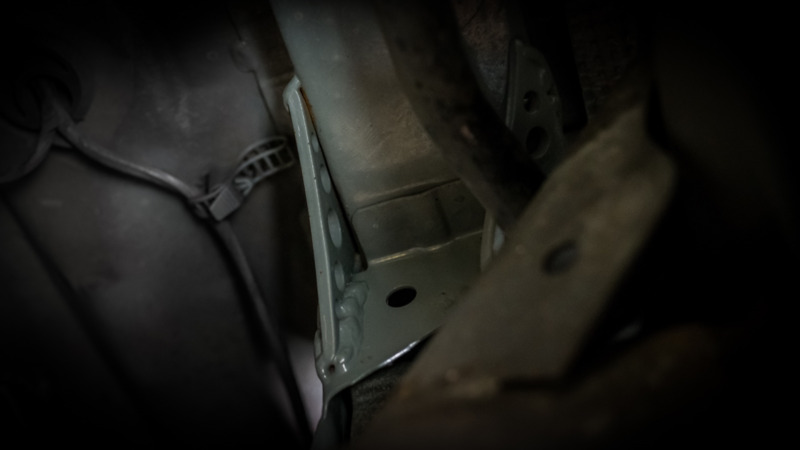 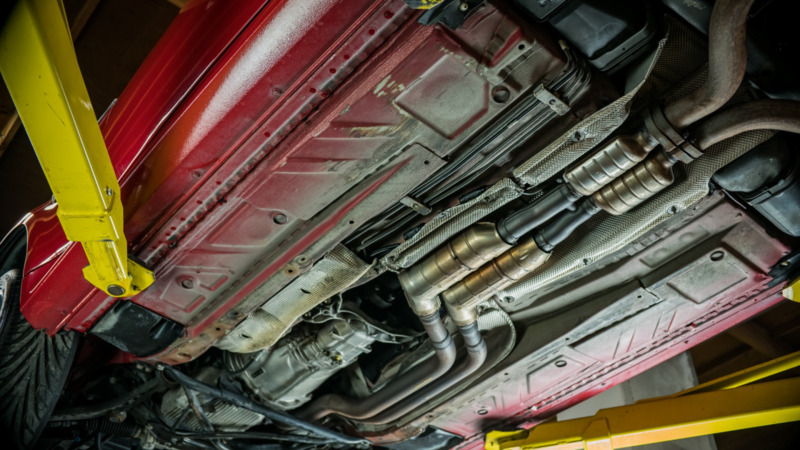 In 2005, Avus Autosport welded in reinforcements to the differential mount and the sway bar tabs on the trailing arms. 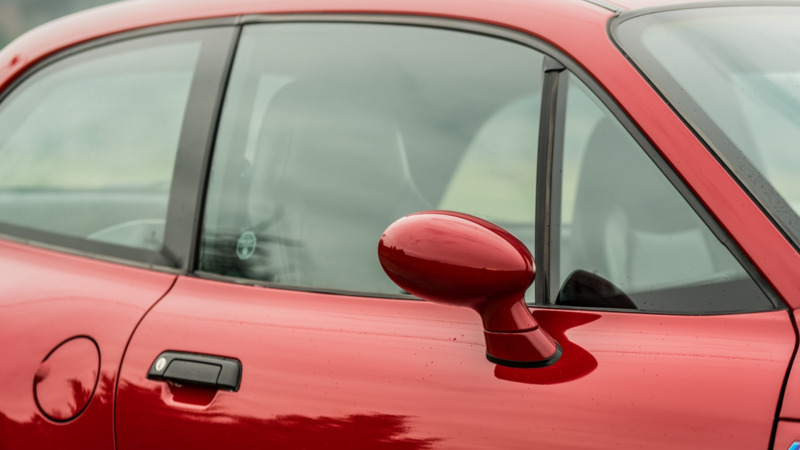 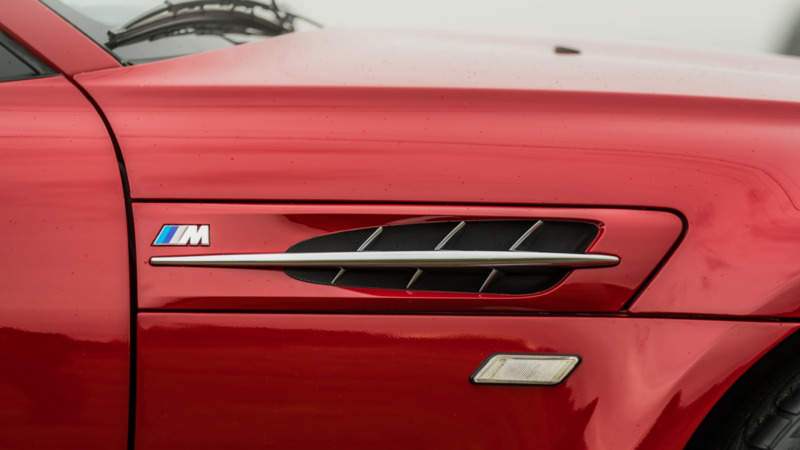 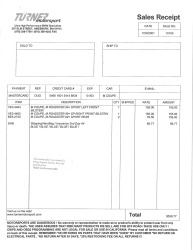 The window sticker lists standard and optional features, as well as a suggested retail price of $42,870. 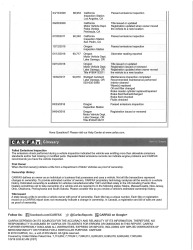 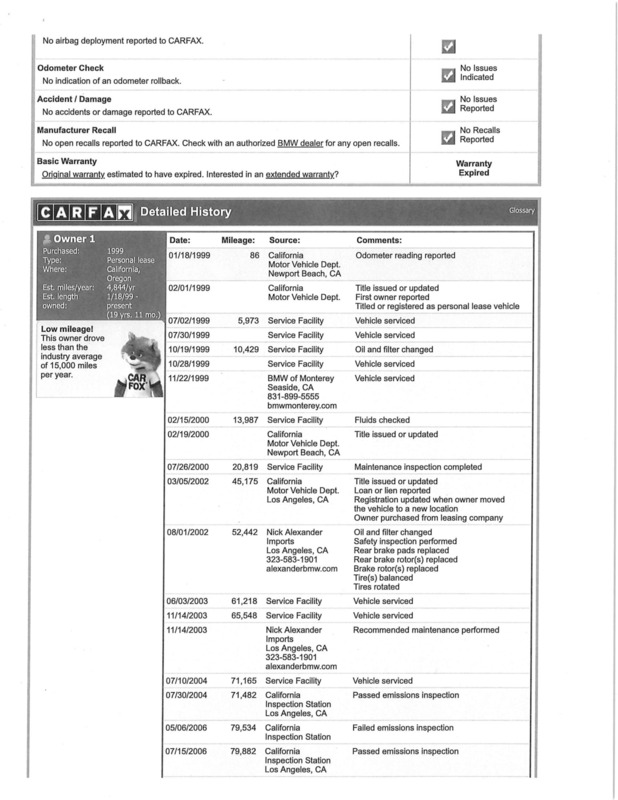 The included Carfax shows no accidents or other issues and indicates that the car passed Oregon emissions testing in March 2018. 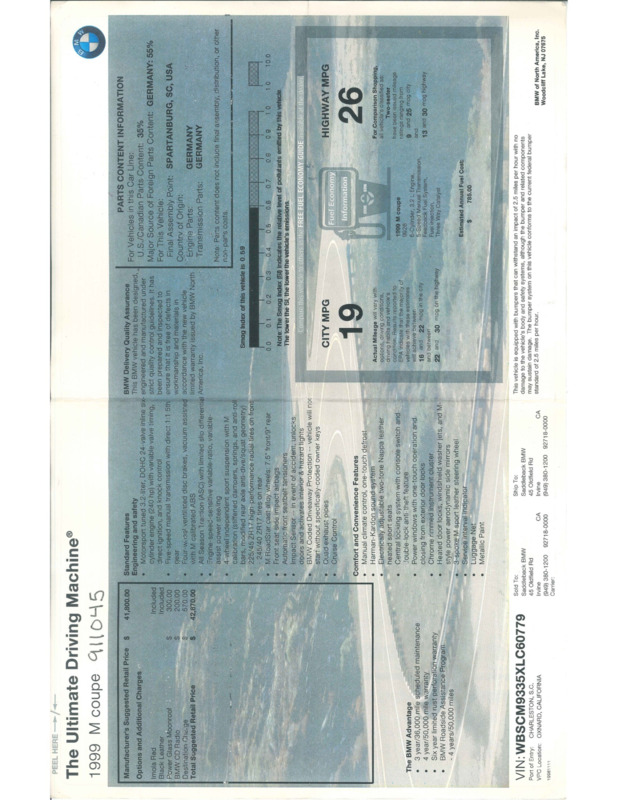 A driving video is attached below. 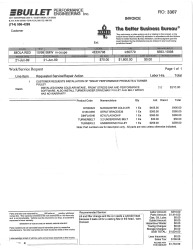 Reserve not met at $23,250. 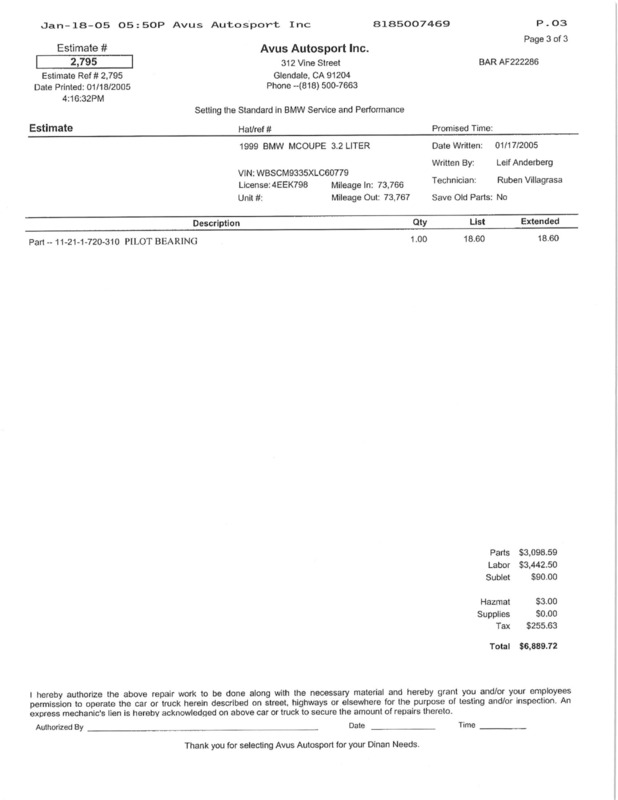 It's no posted by the dealer at $27,900 which is optimistic for the mileage. 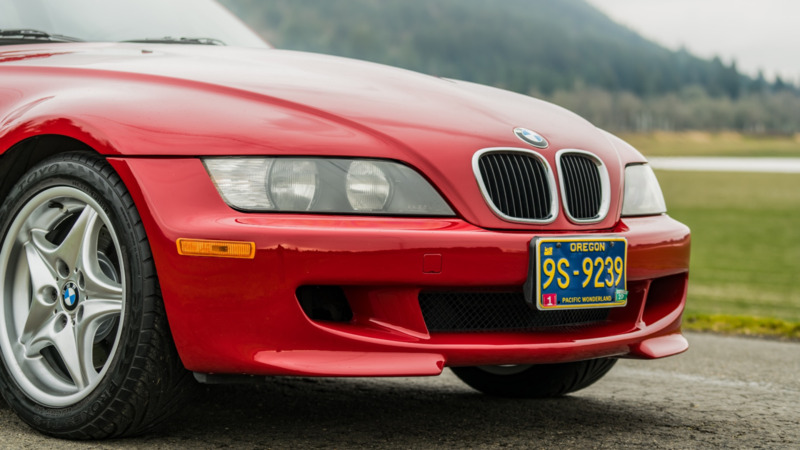 It looks like a pretty nice one-owner coupe. 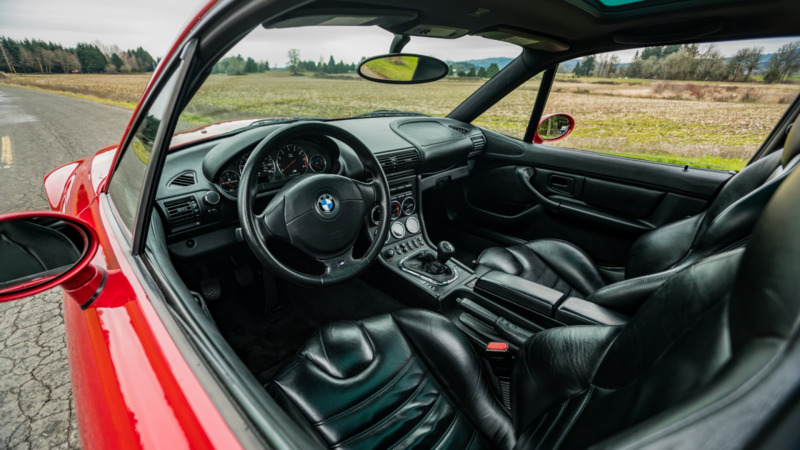 It looks to be mostly stock besides a ZHP shift knob, LeatherZ Mark I armrest, a Dinan intake and strut bar and cross drilled brake rotors. 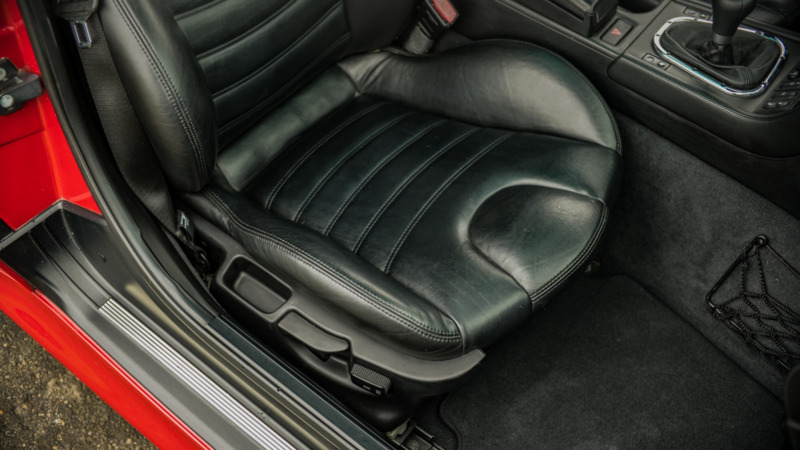 The seat bolster looks ok but the glovebox has some enormous sag and it has the common center console crack by the AC button. 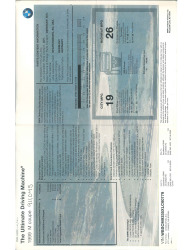 Bidding is up to $22,000 already so far.